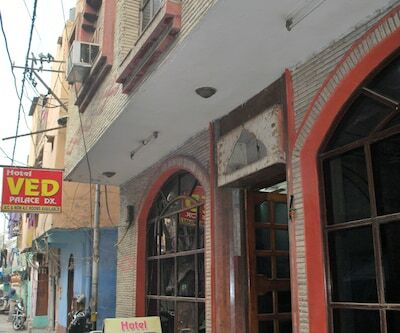 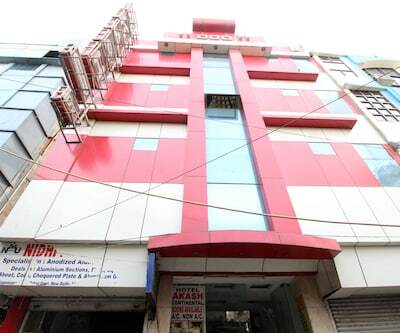 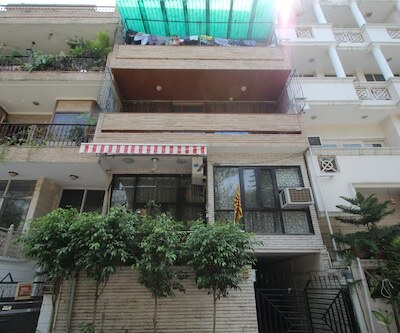 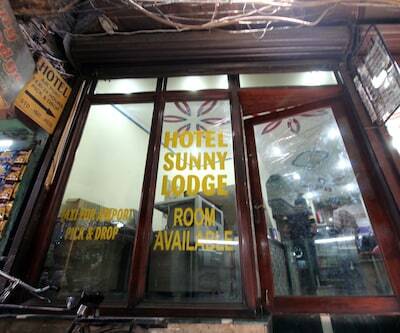 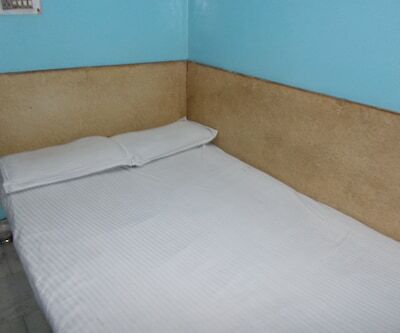 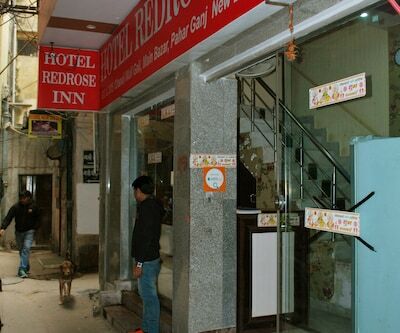 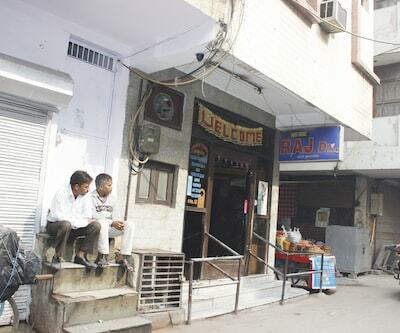 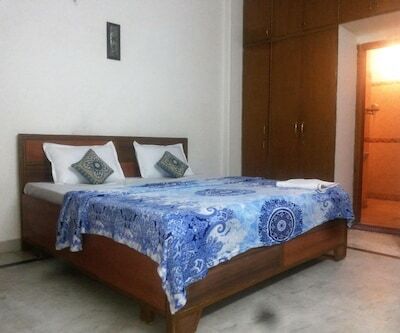 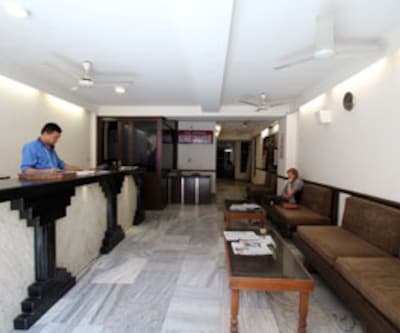 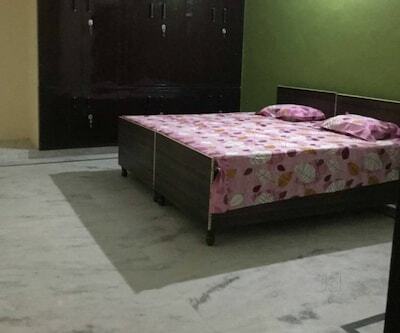 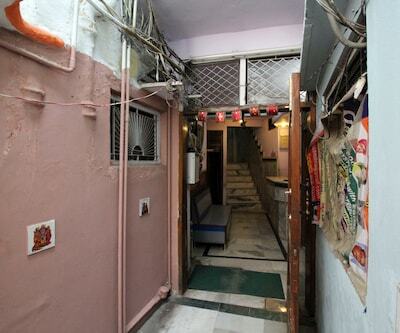 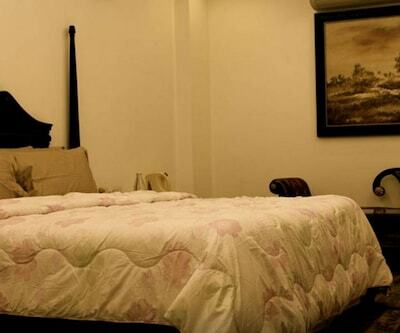 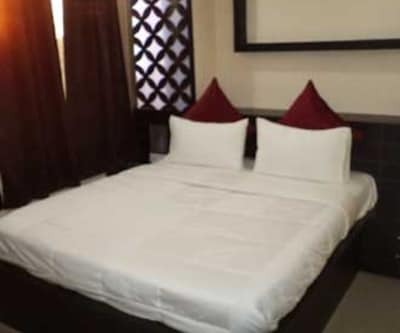 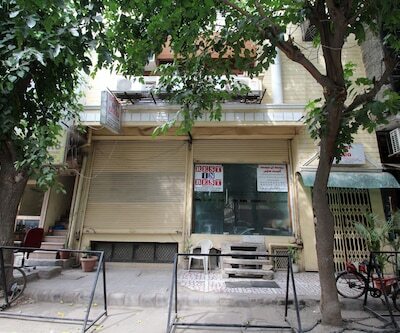 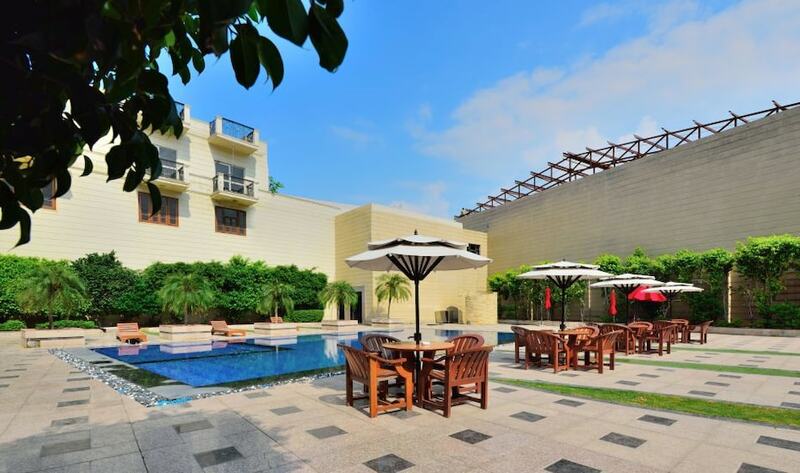 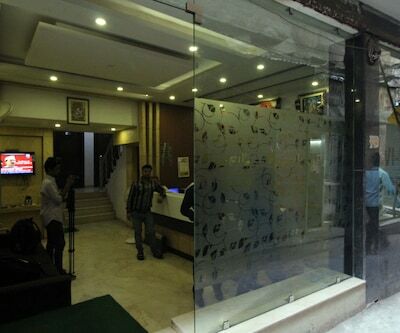 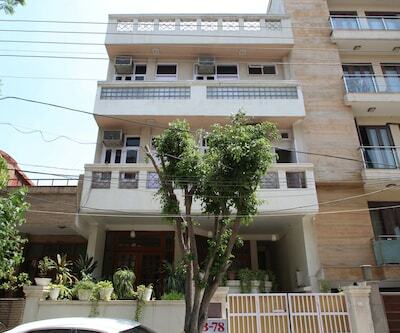 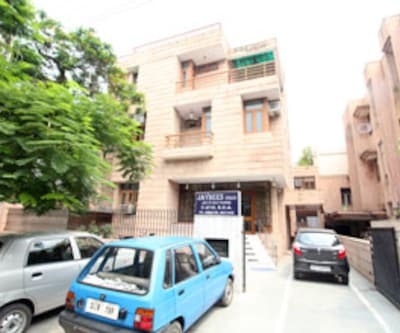 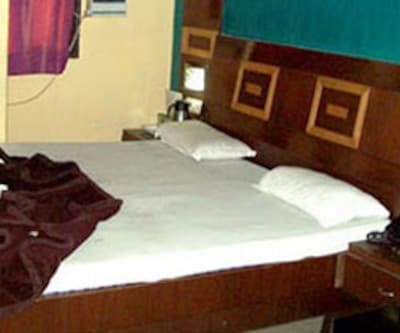 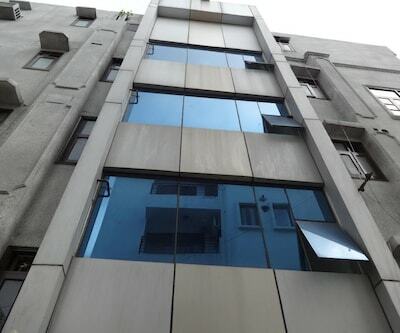 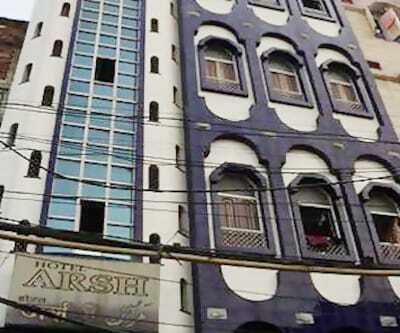 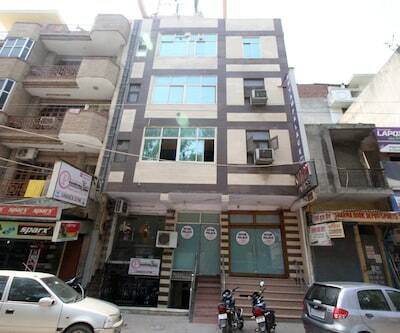 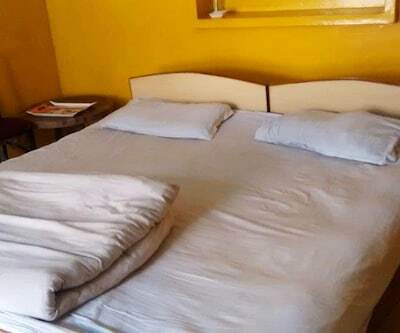 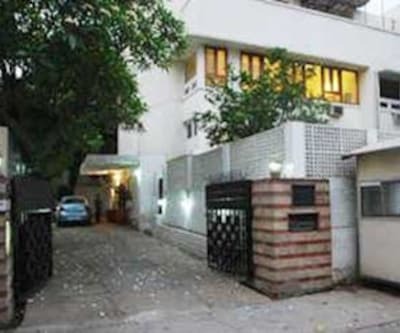 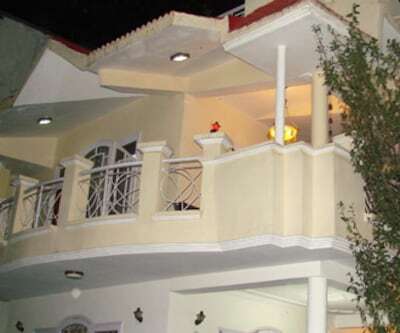 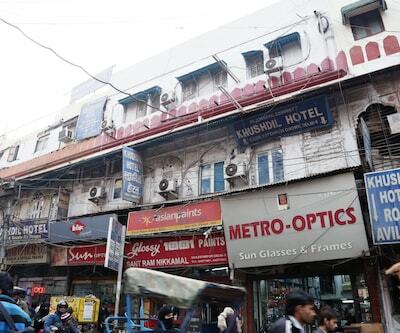 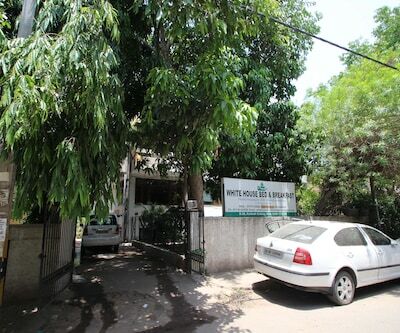 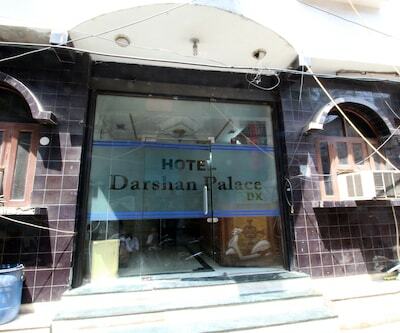 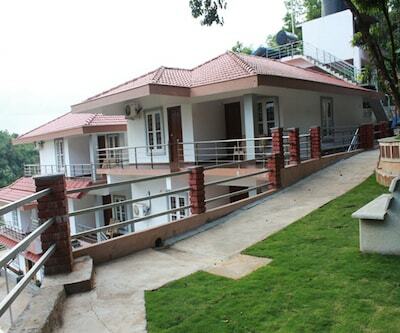 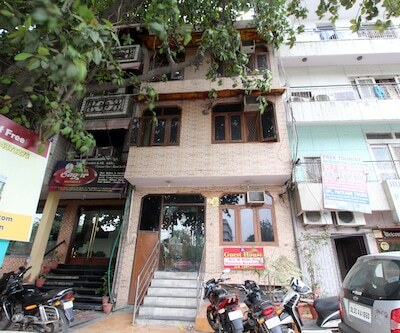 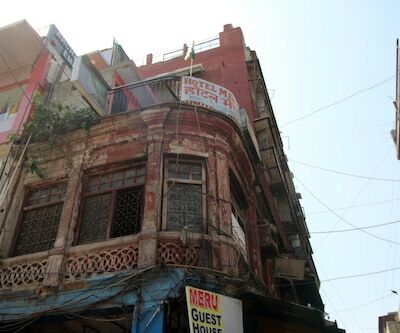 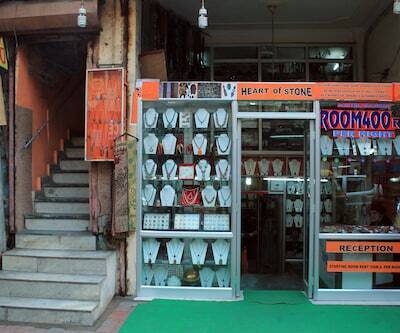 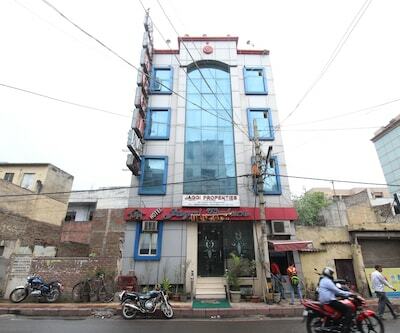 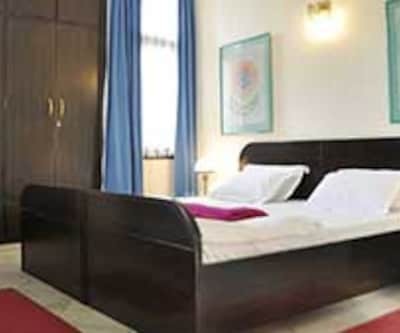 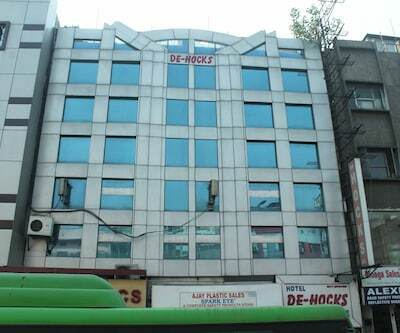 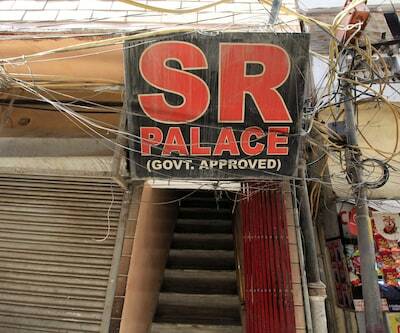 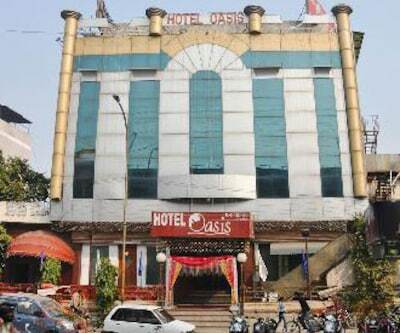 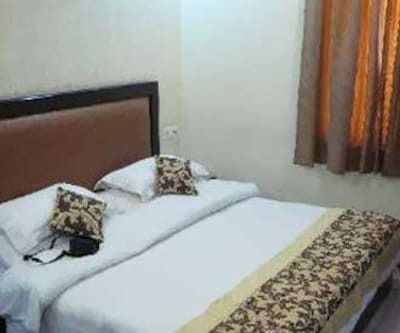 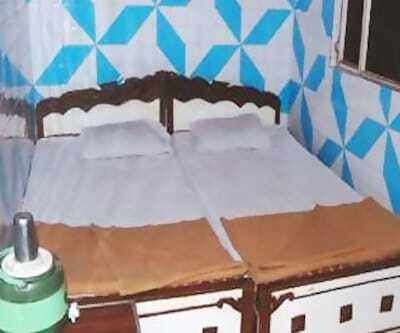 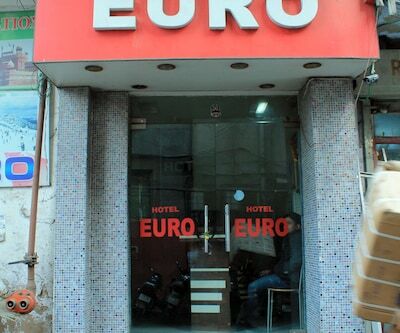 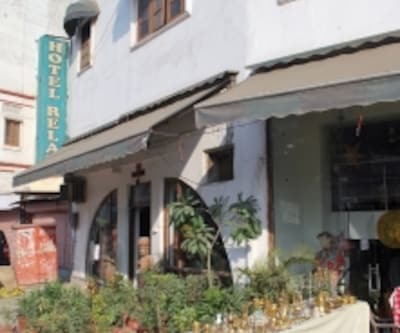 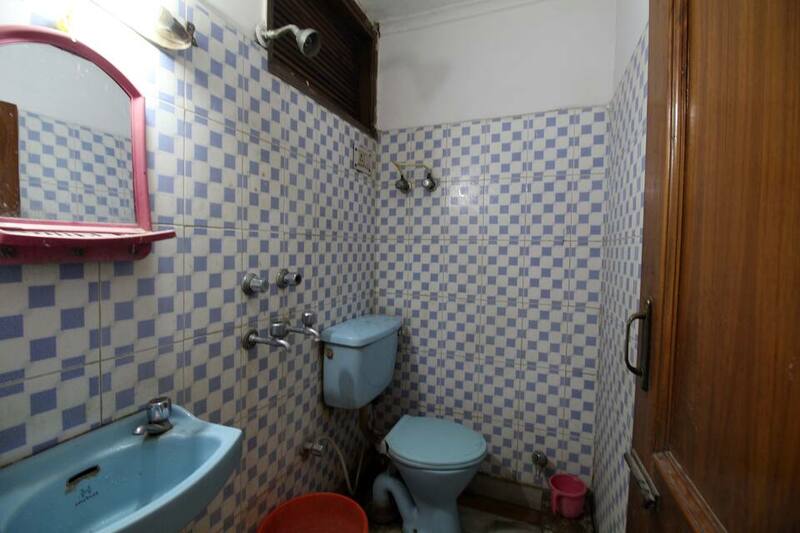 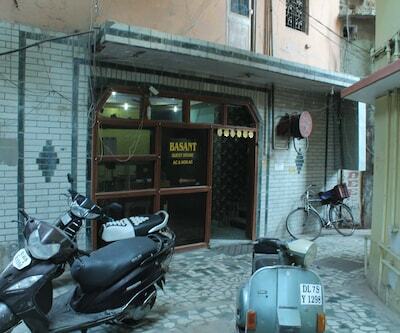 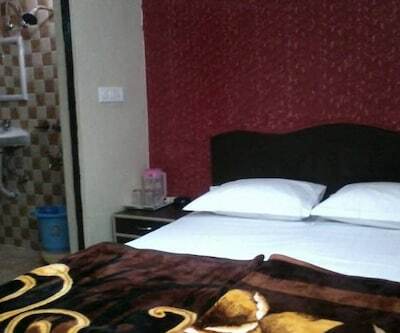 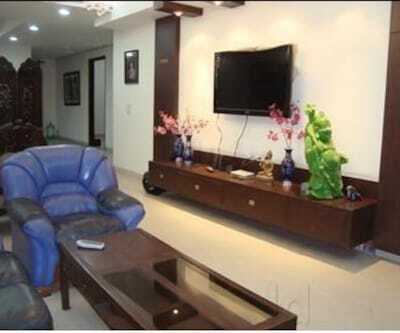 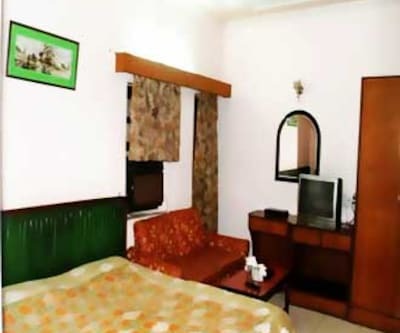 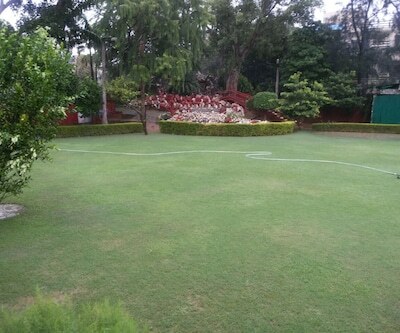 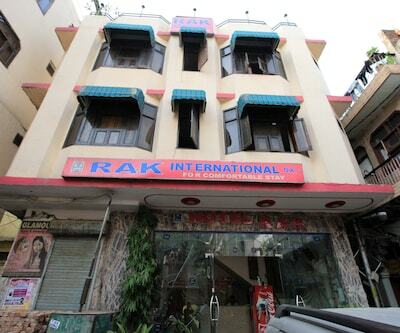 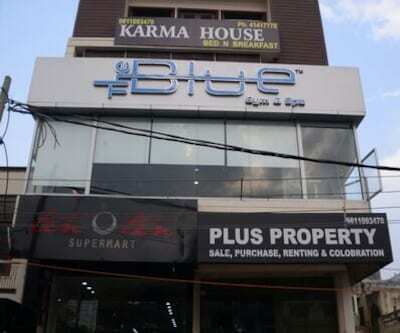 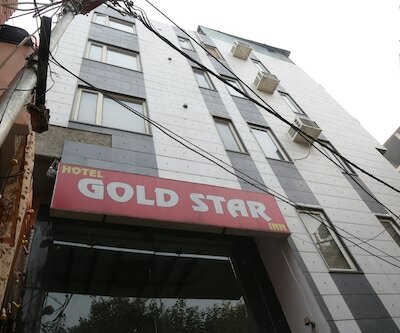 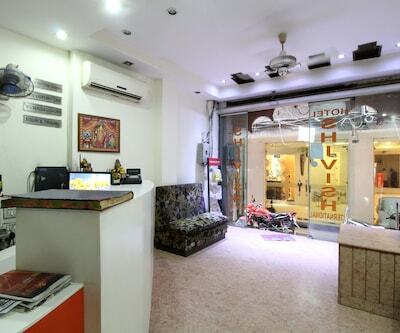 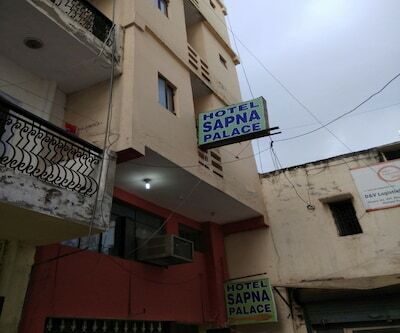 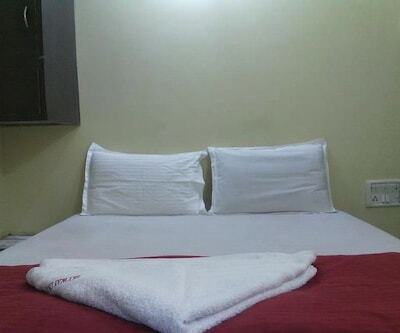 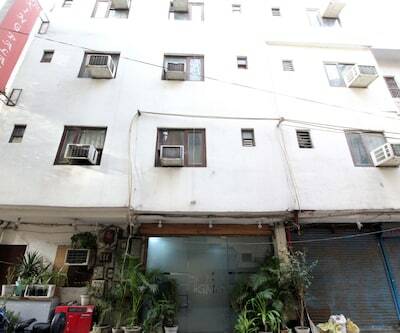 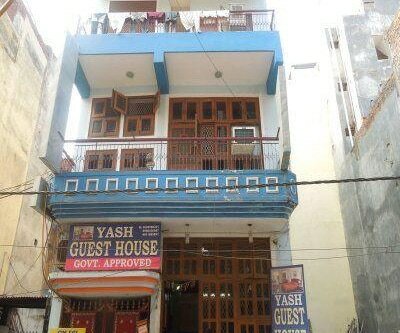 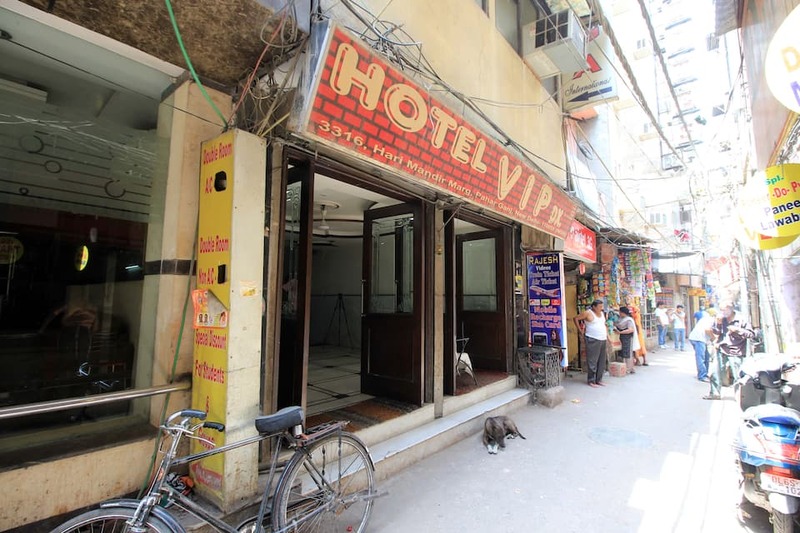 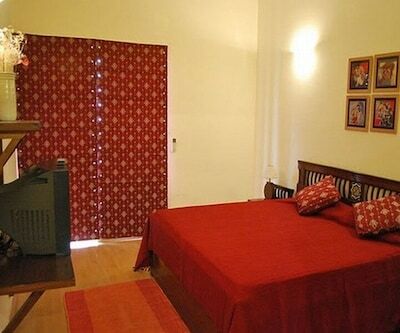 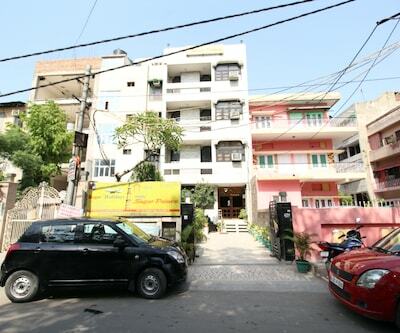 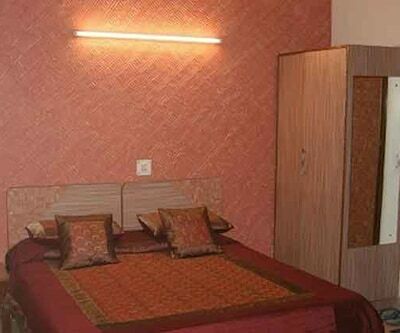 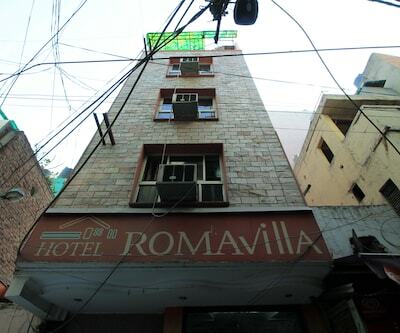 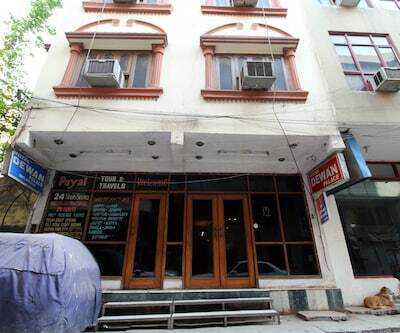 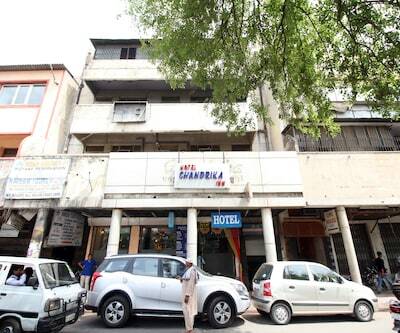 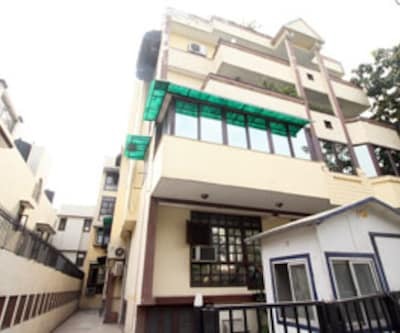 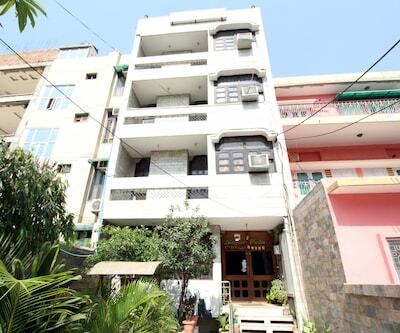 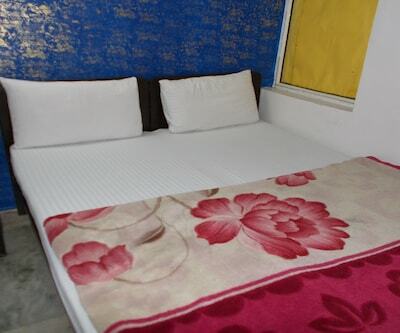 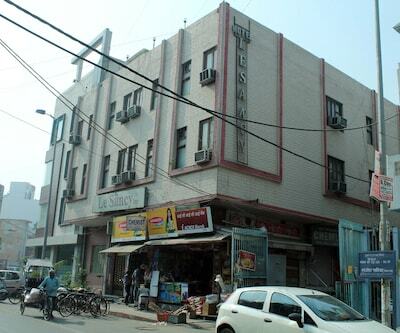 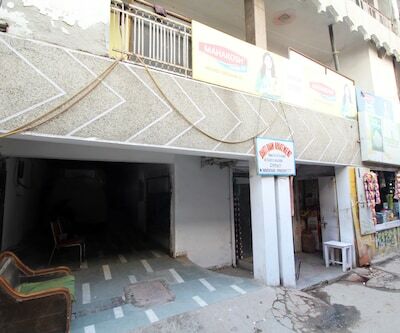 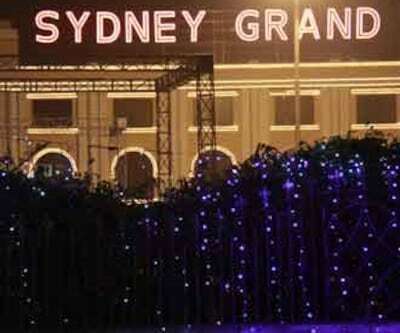 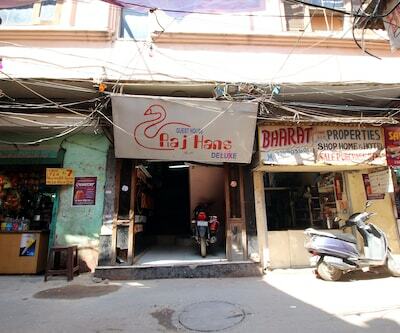 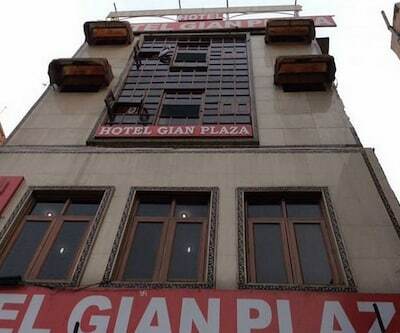 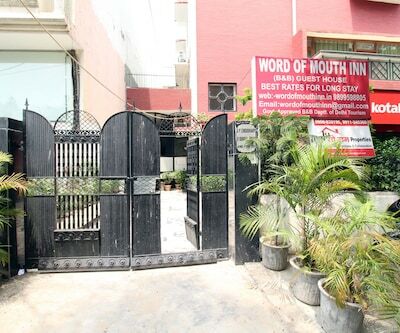 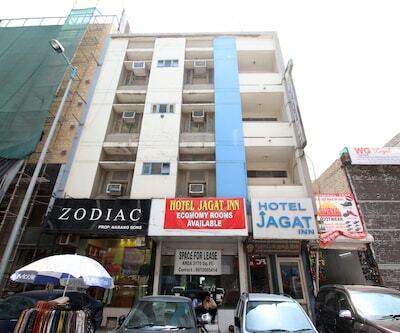 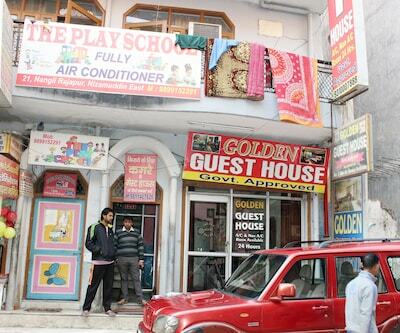 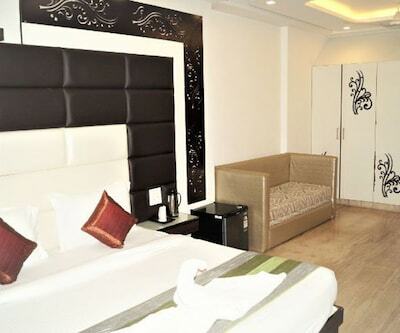 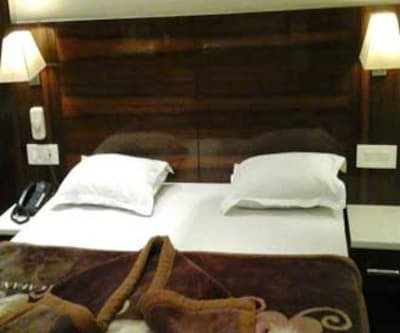 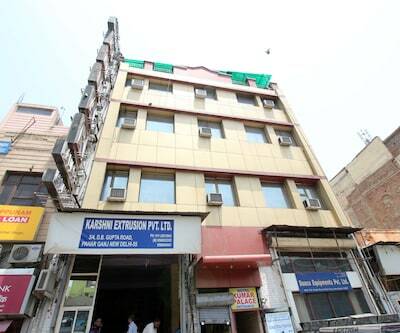 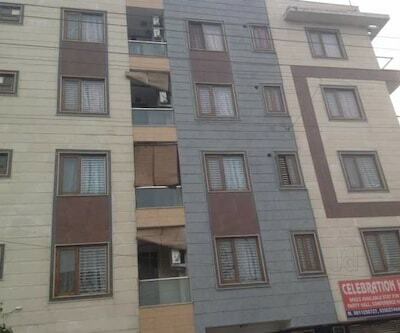 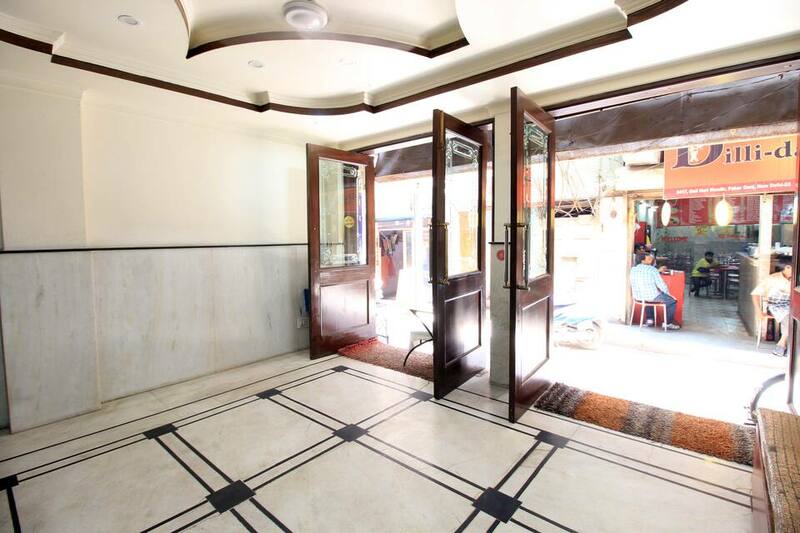 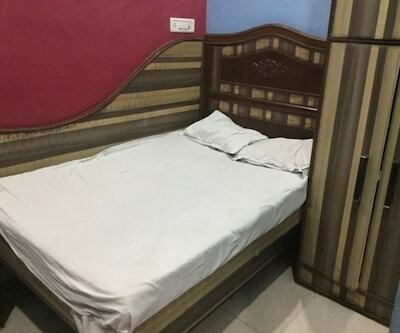 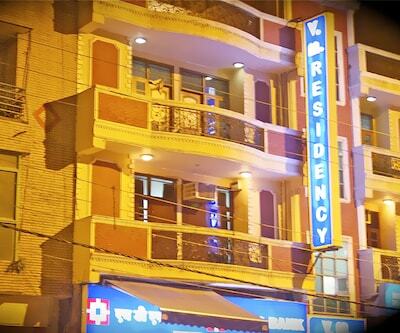 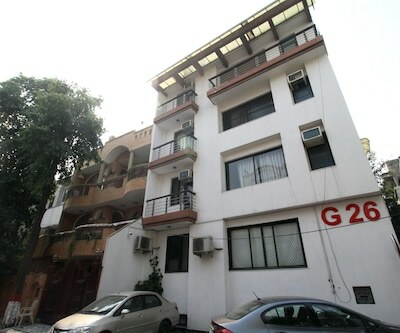 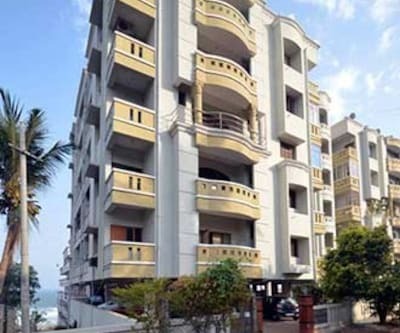 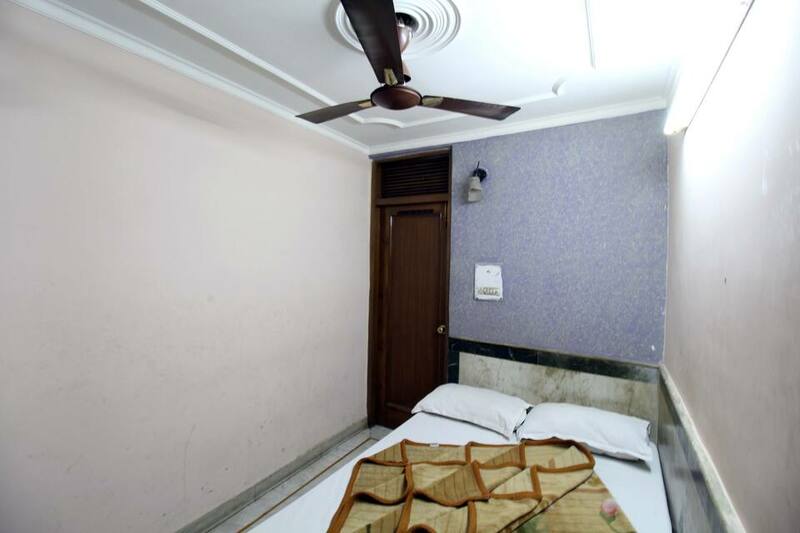 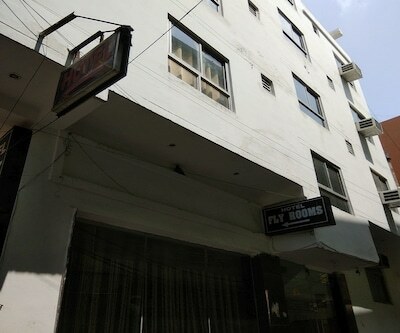 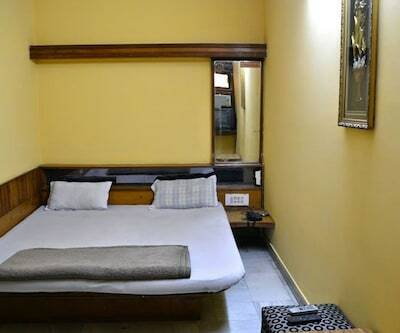 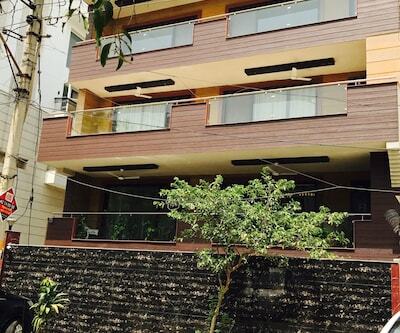 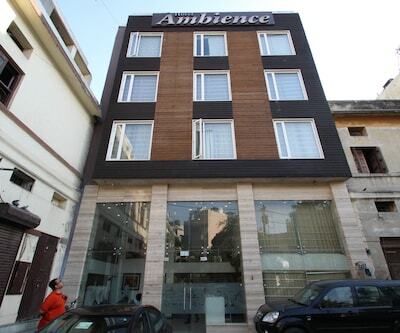 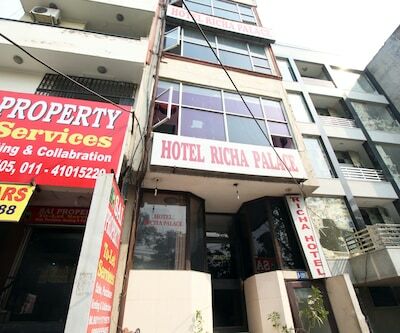 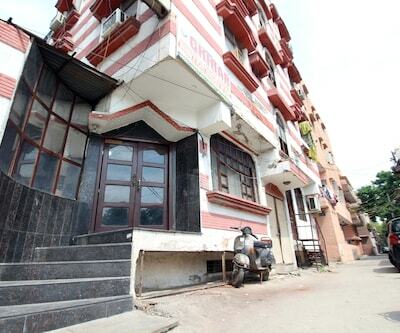 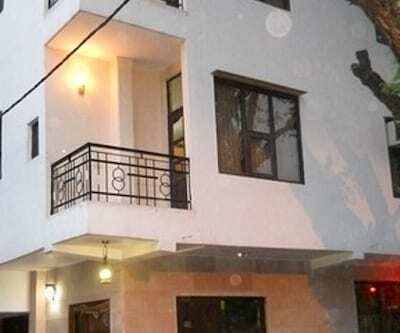 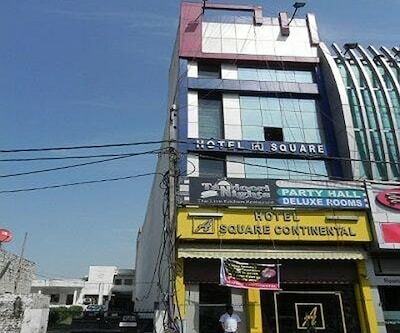 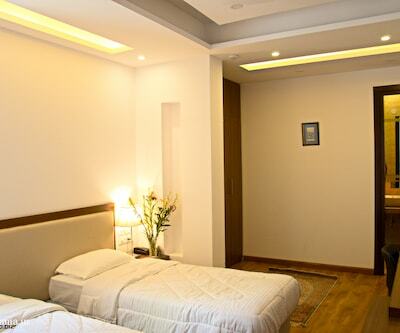 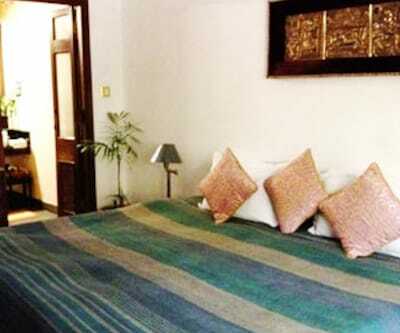 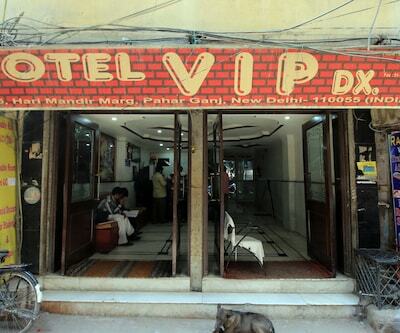 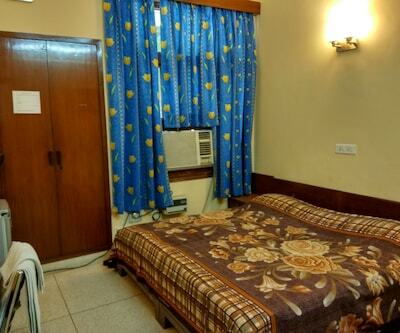 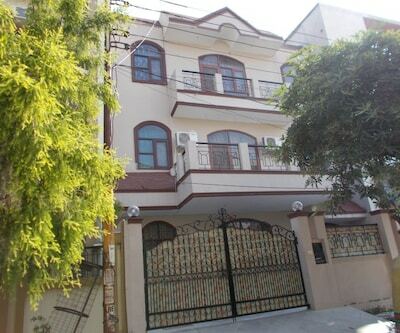 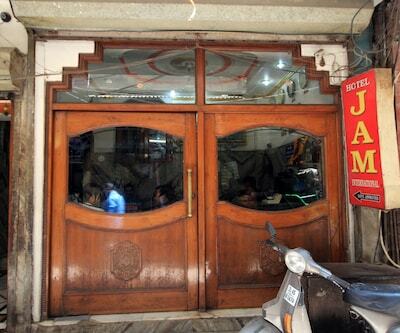 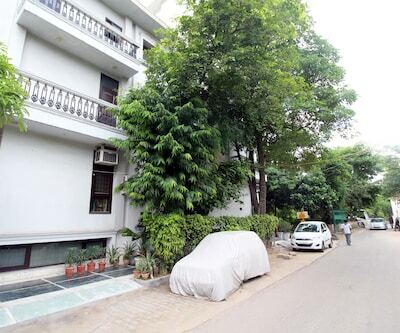 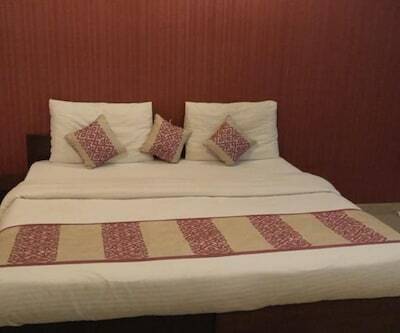 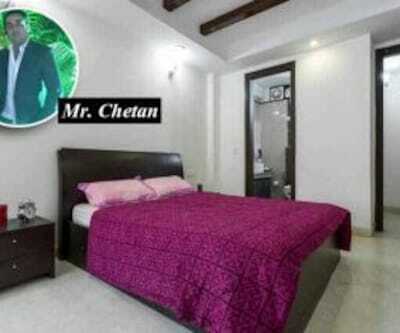 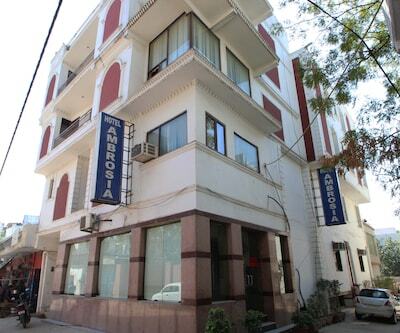 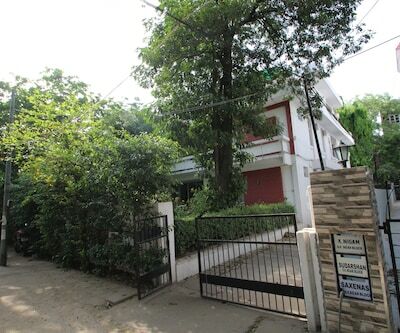 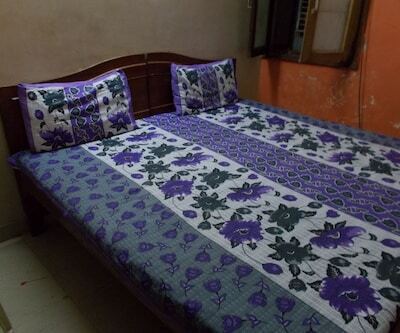 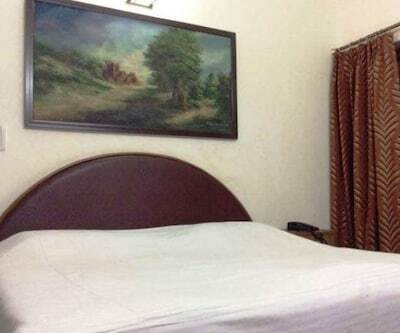 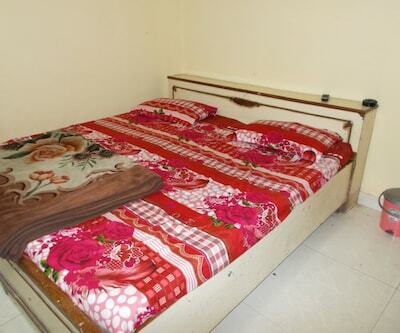 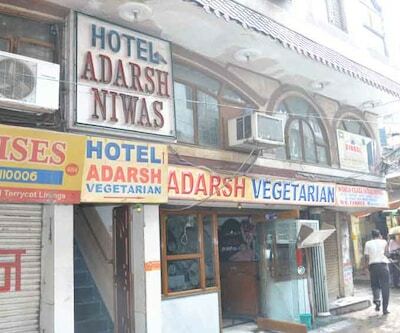 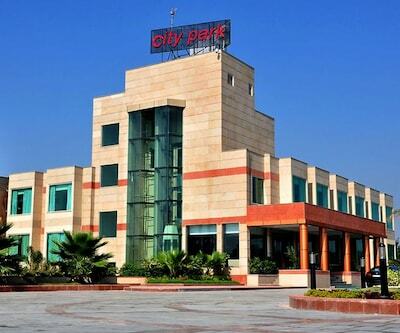 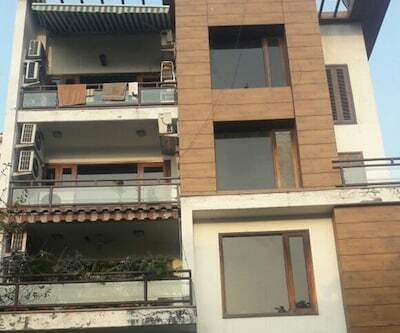 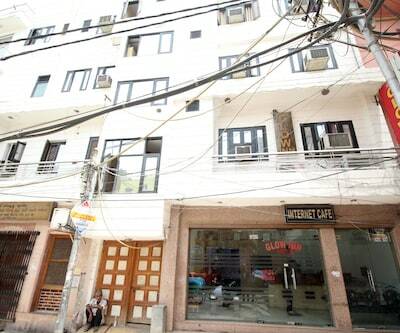 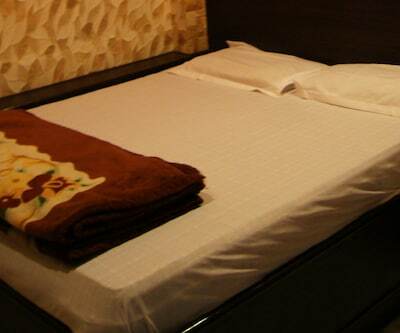 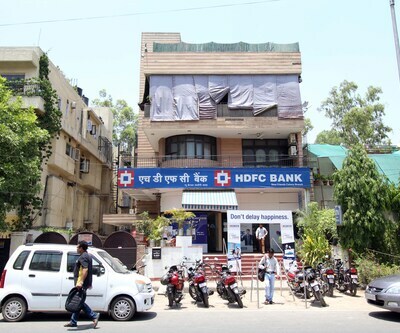 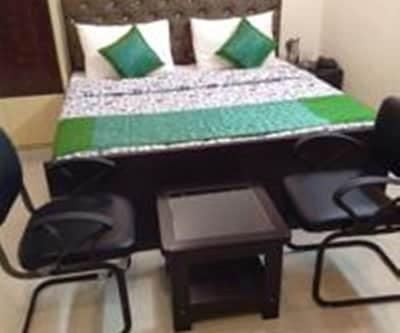 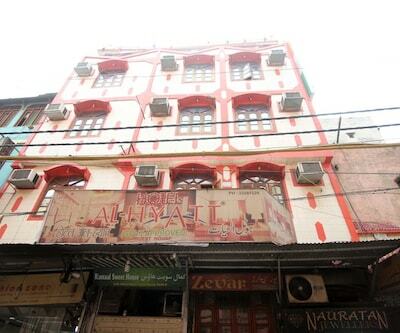 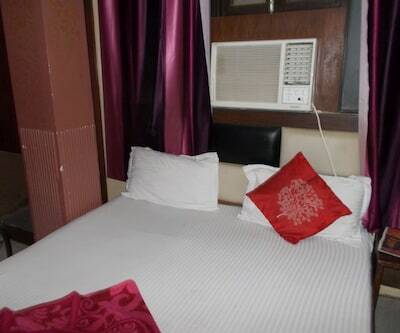 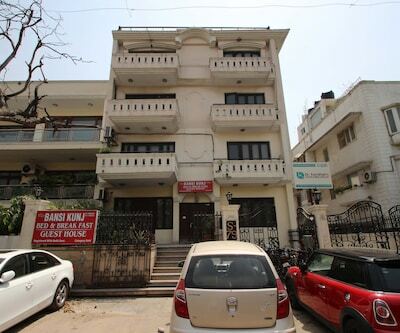 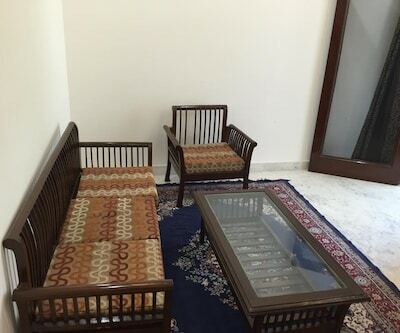 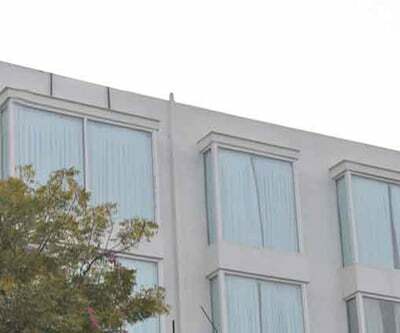 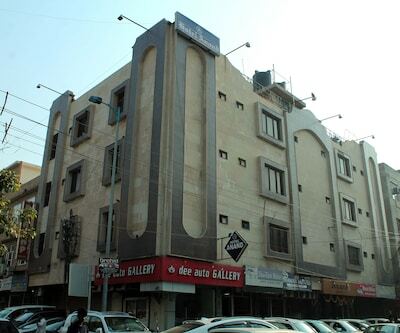 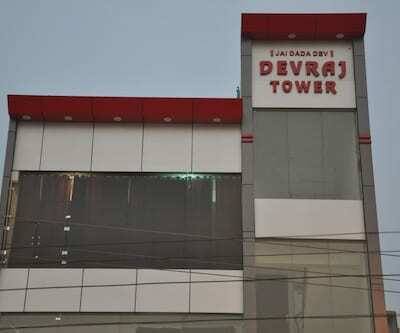 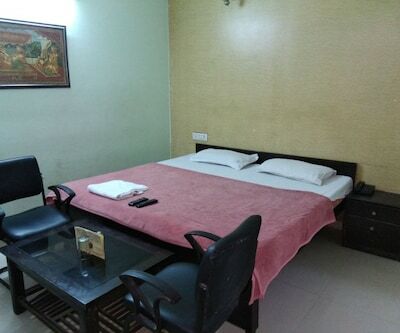 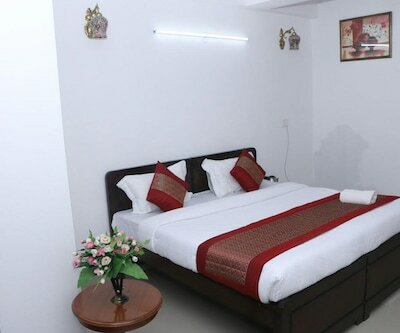 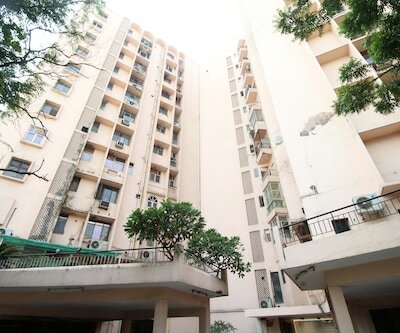 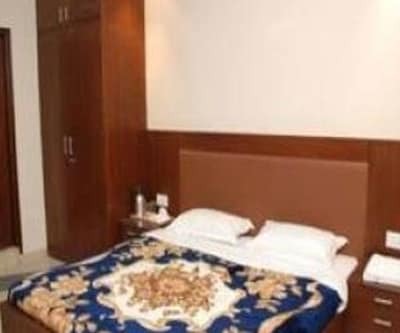 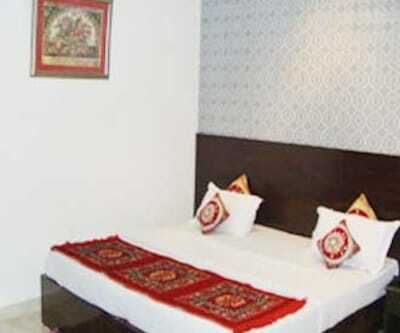 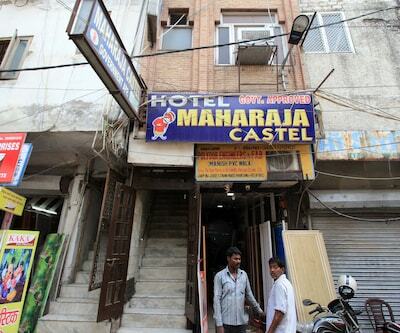 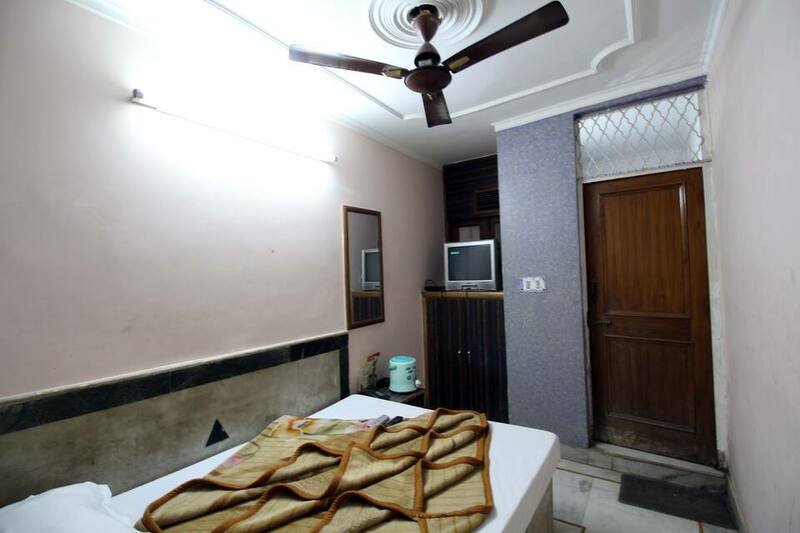 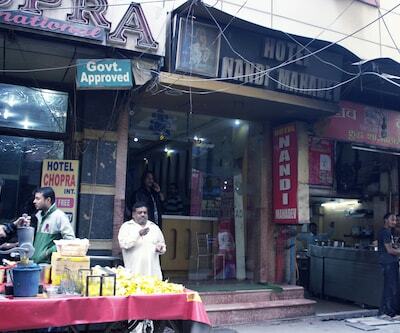 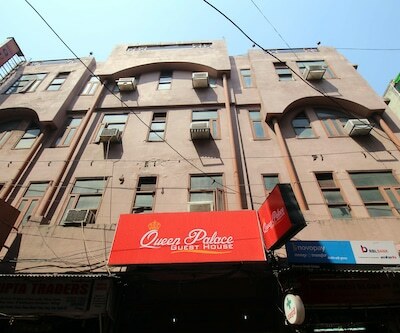 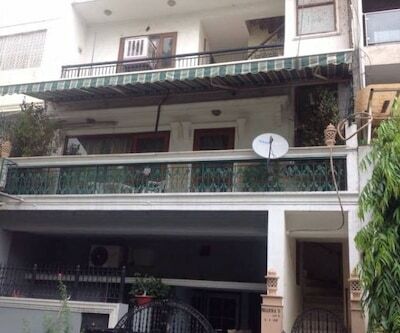 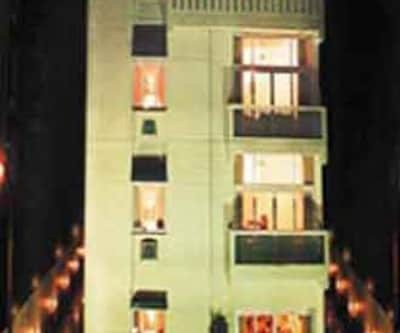 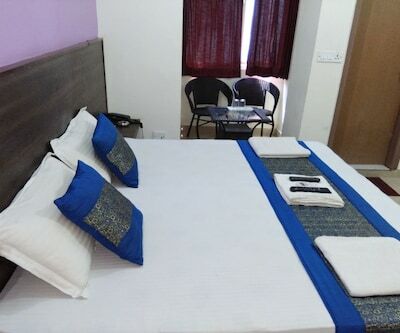 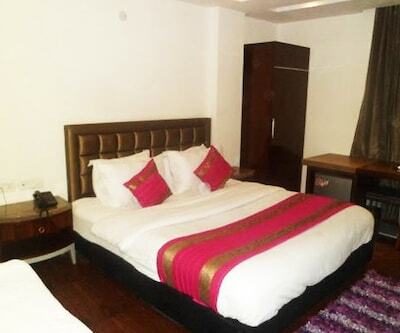 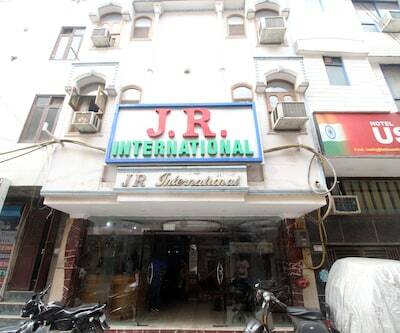 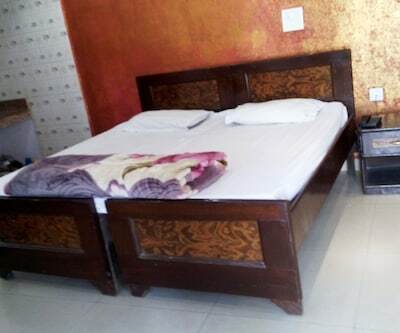 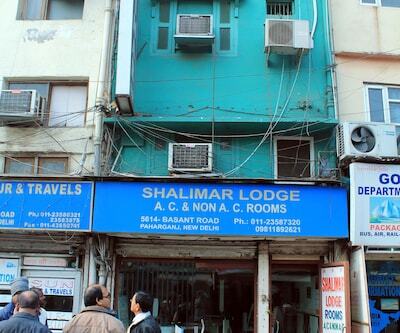 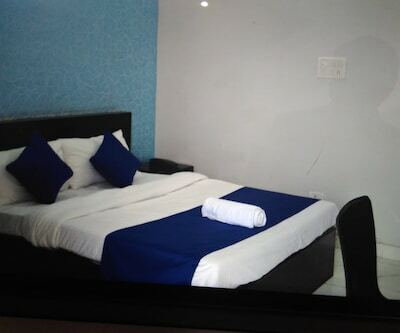 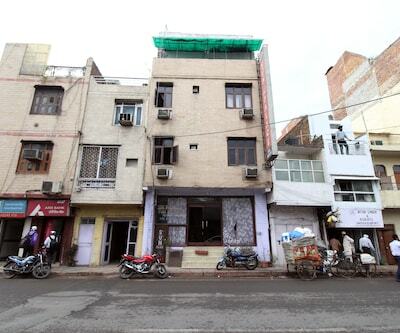 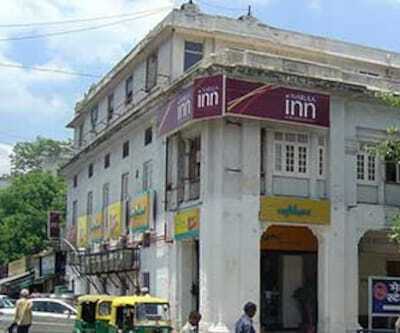 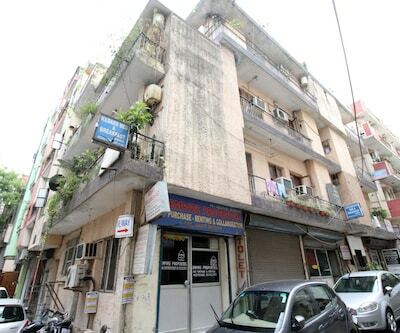 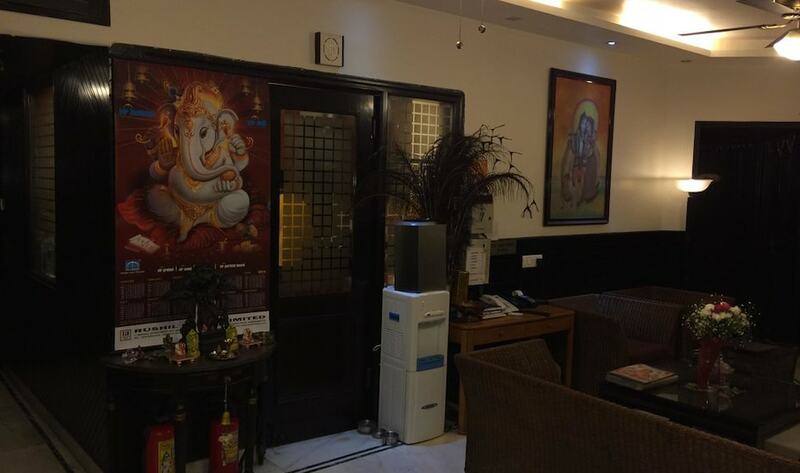 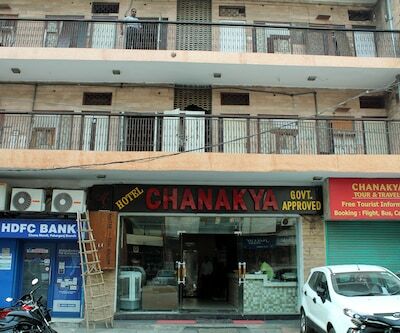 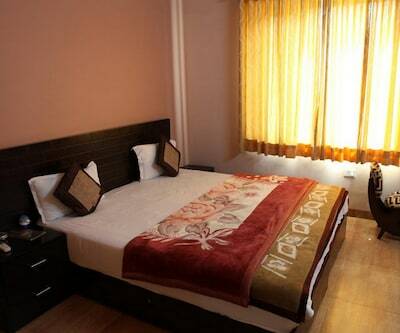 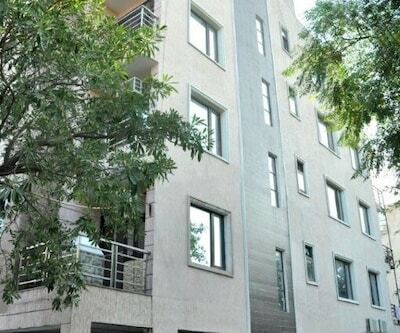 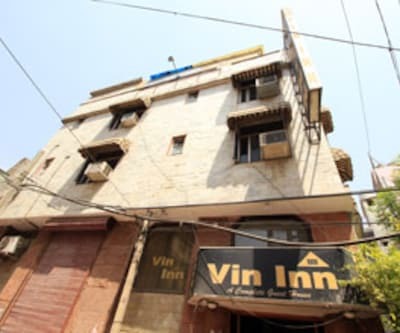 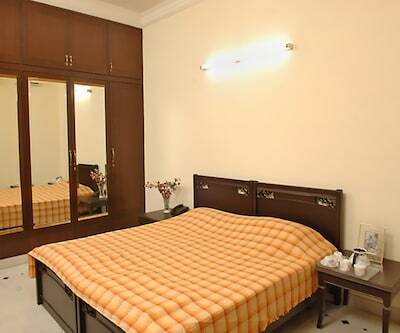 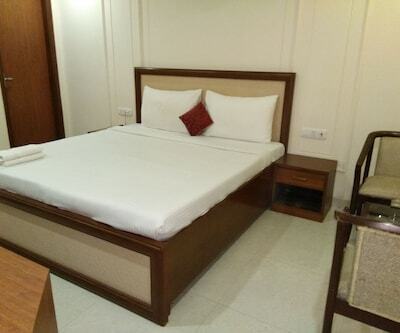 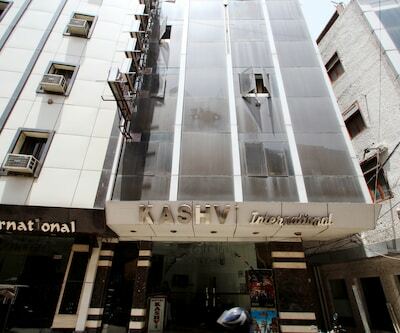 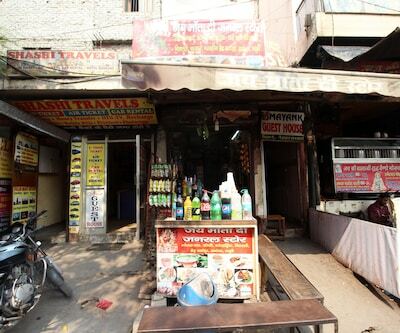 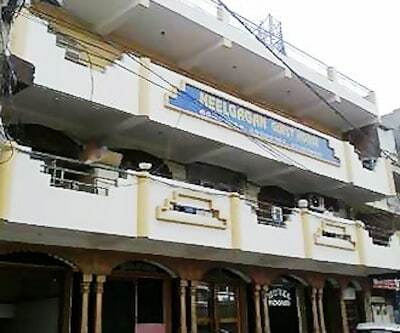 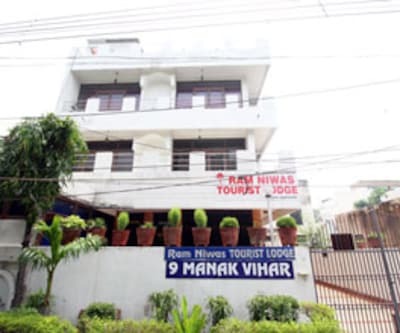 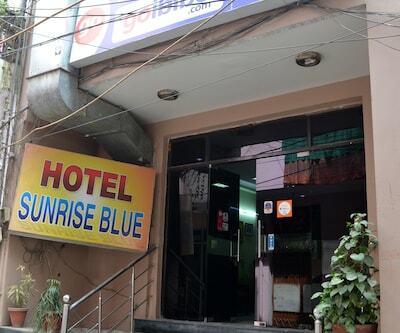 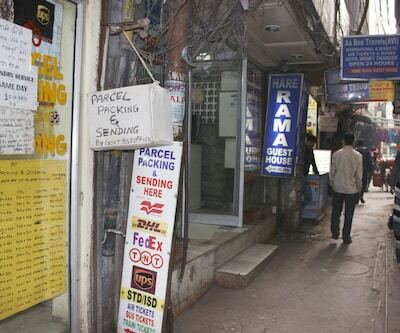 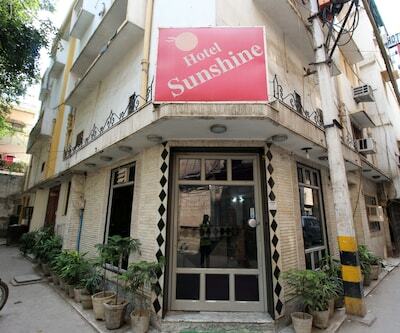 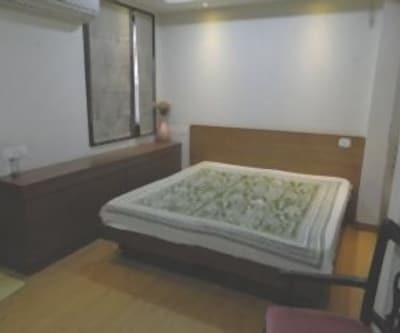 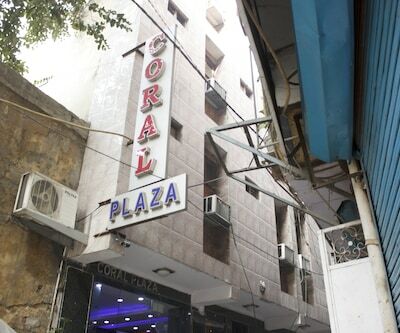 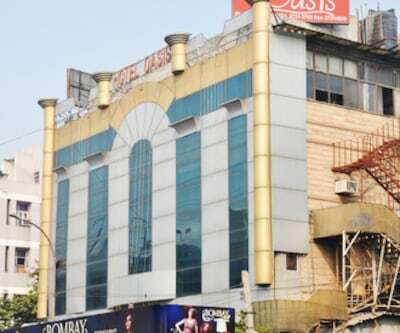 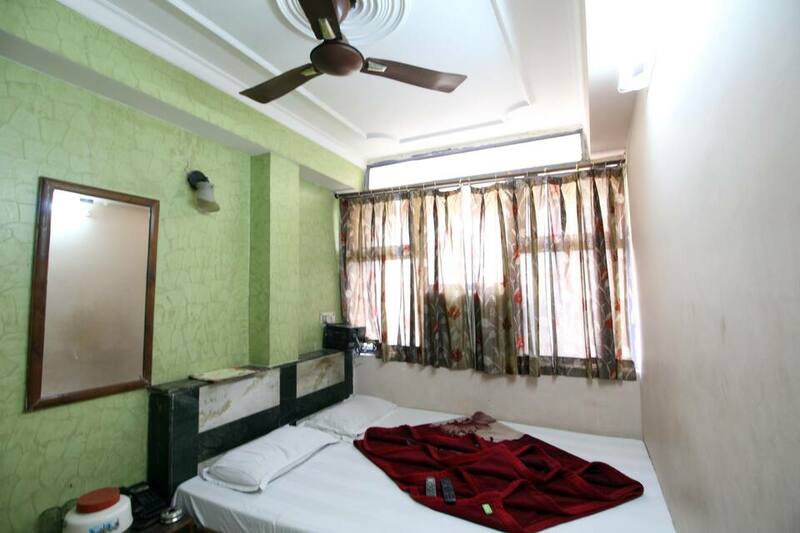 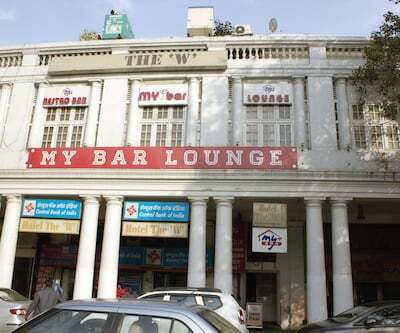 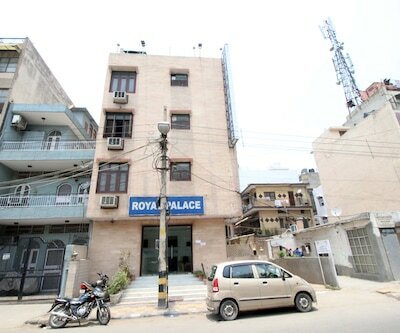 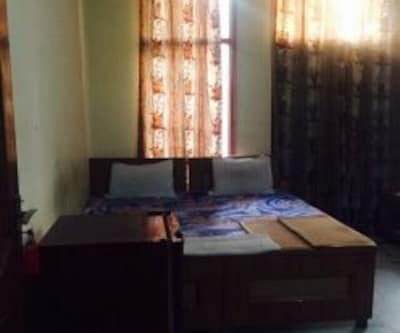 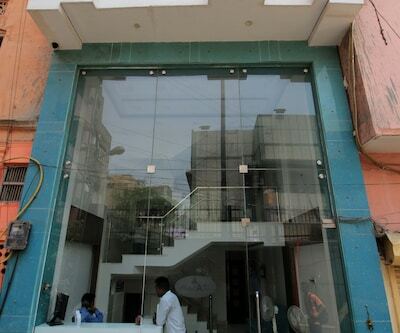 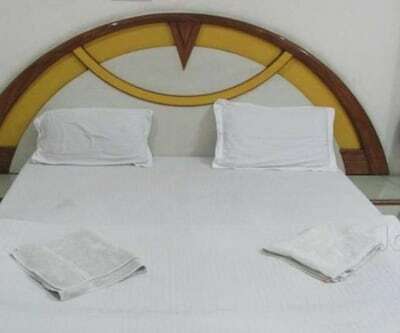 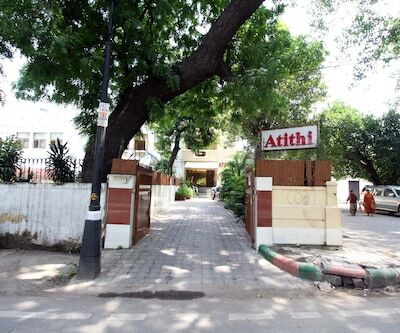 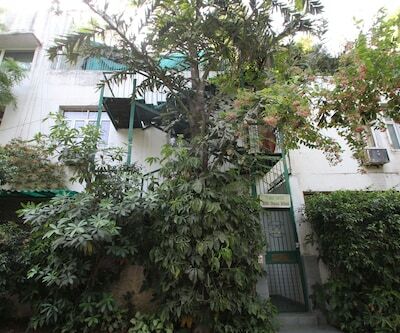 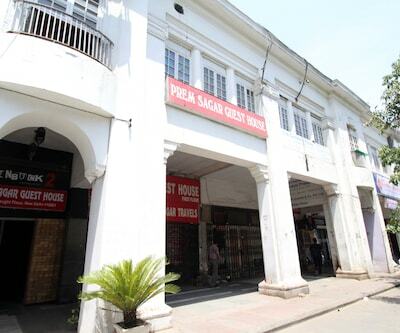 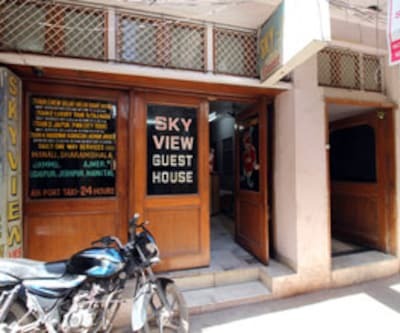 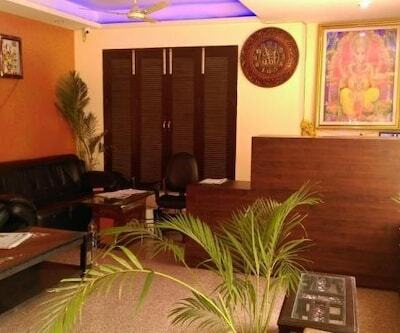 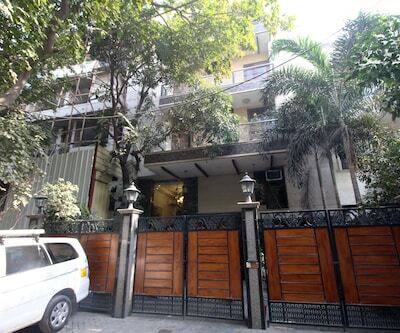 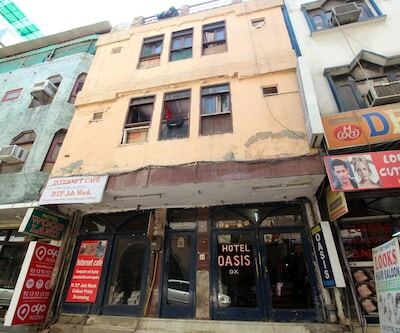 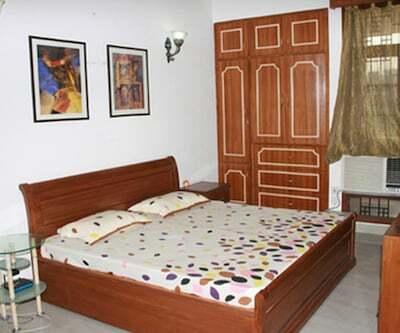 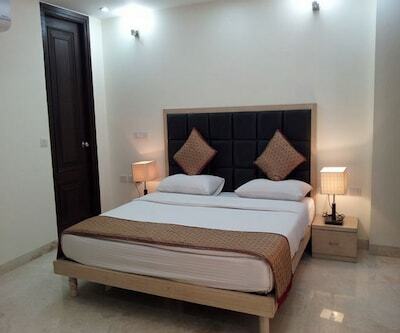 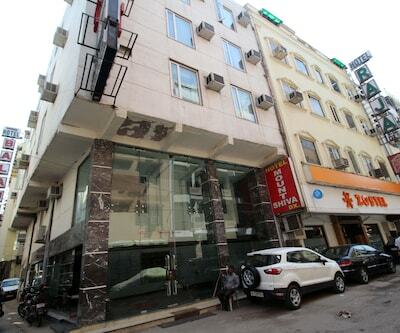 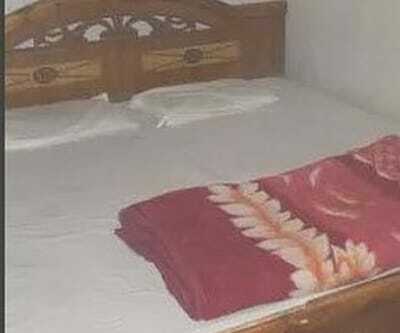 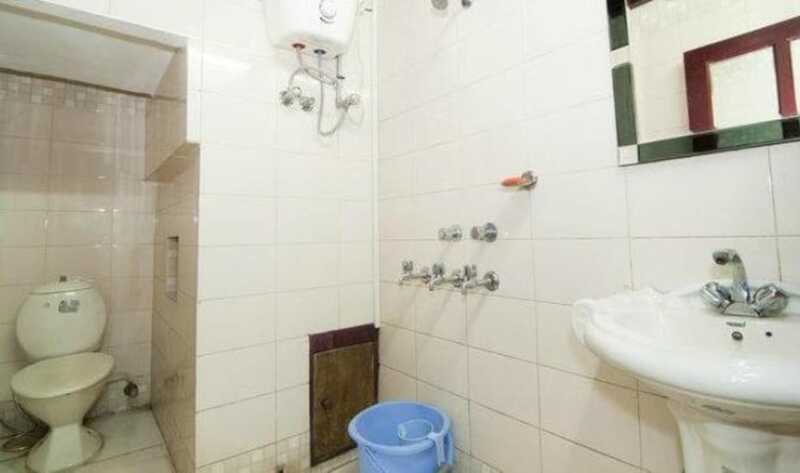 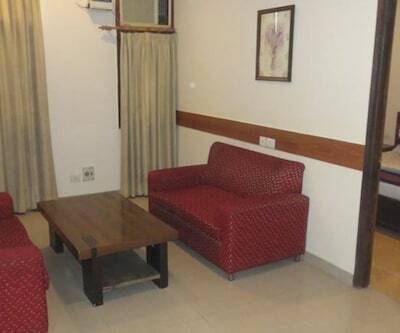 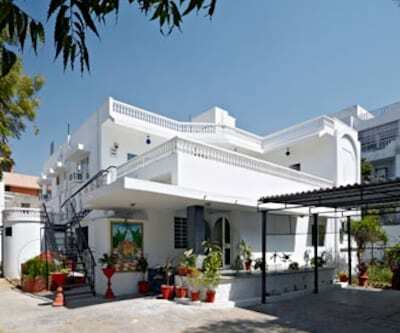 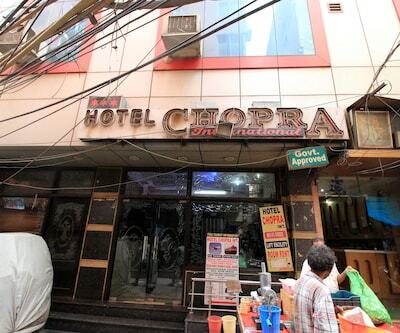 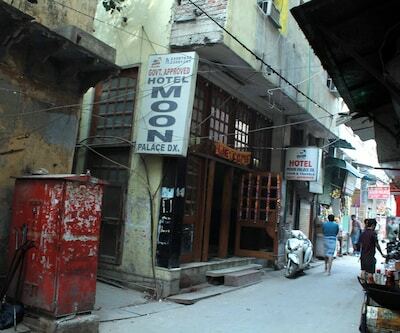 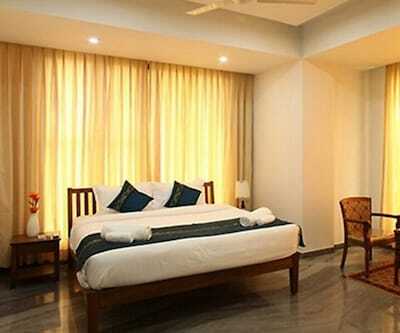 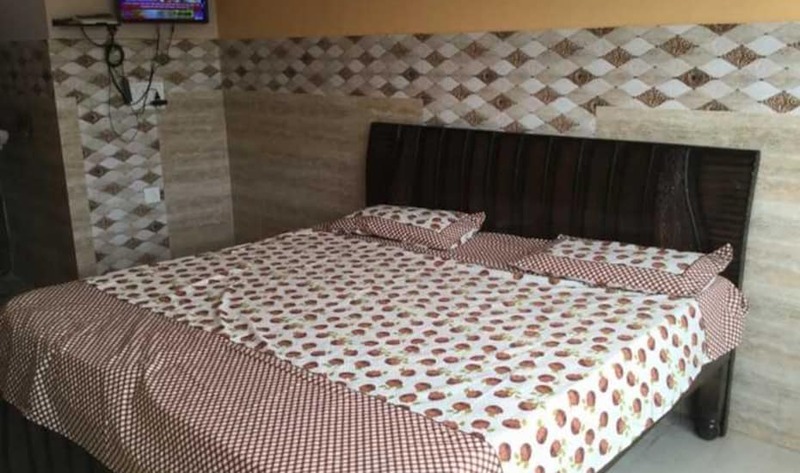 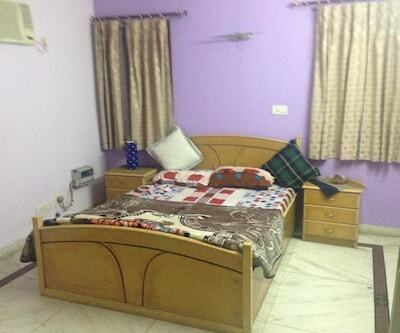 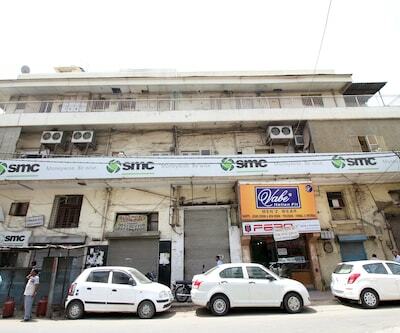 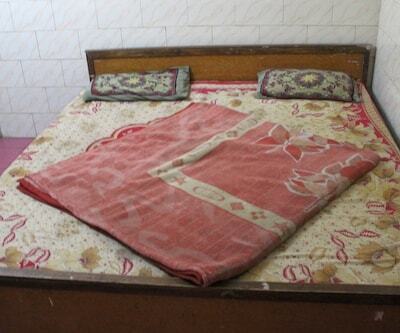 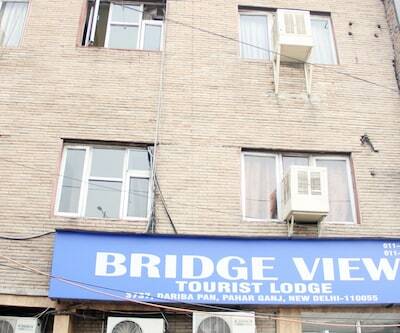 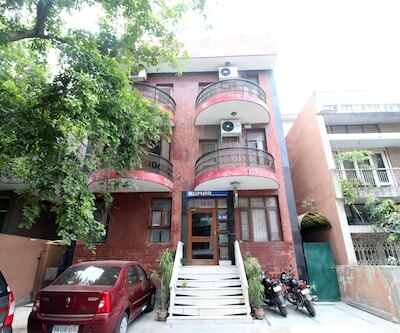 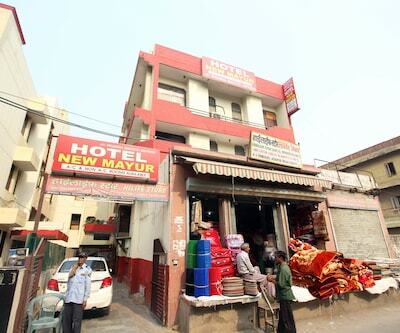 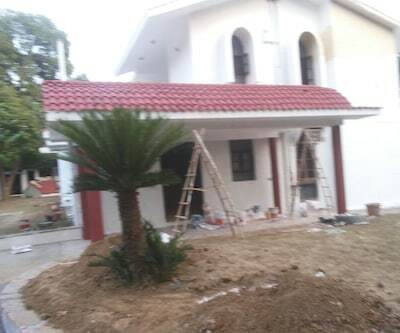 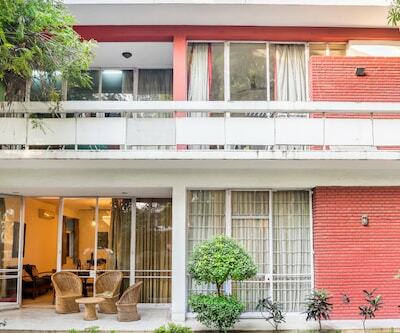 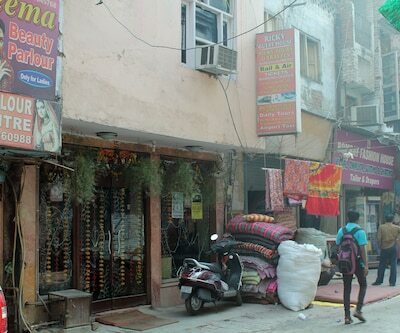 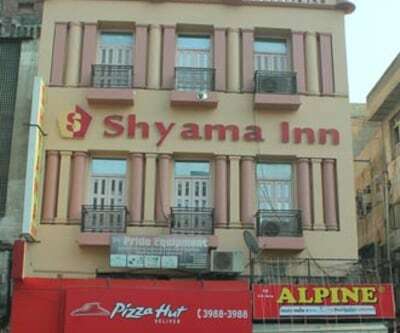 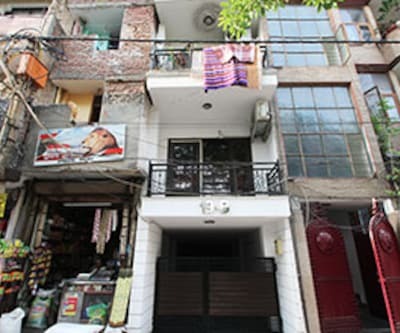 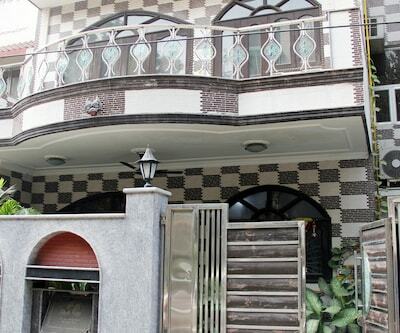 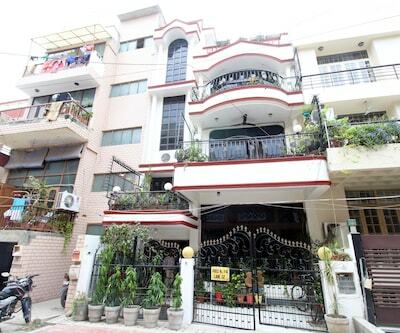 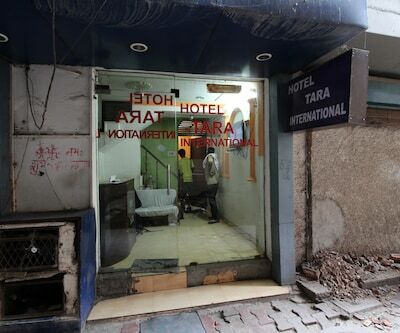 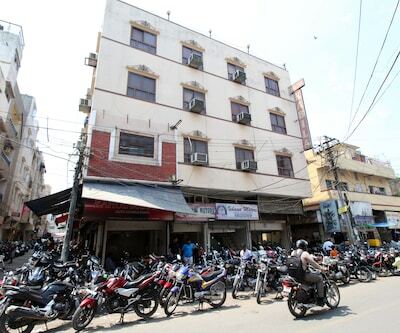 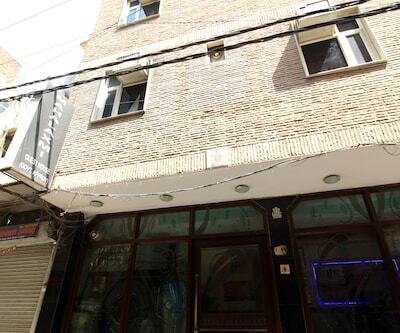 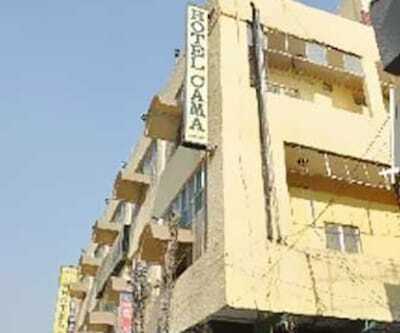 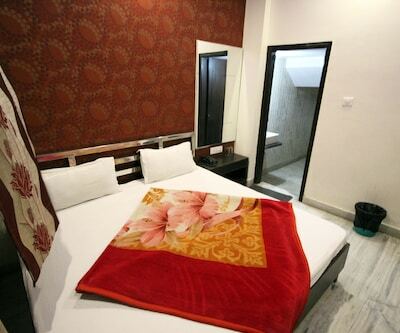 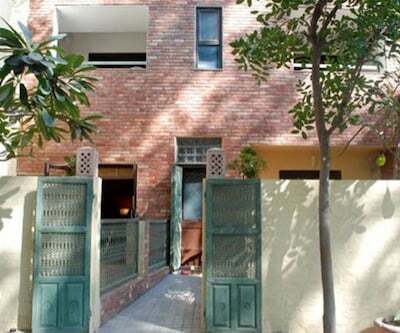 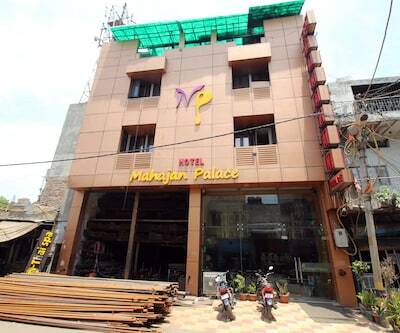 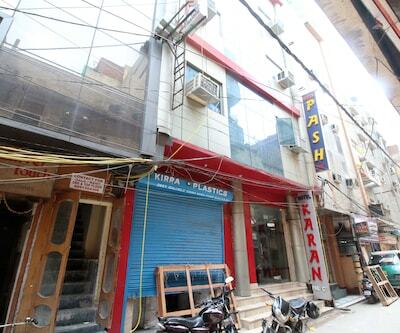 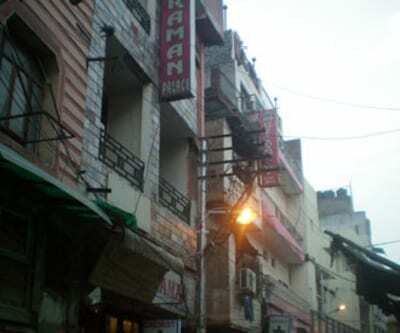 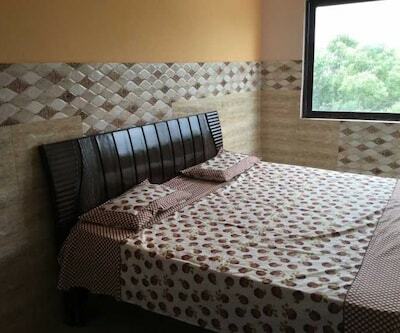 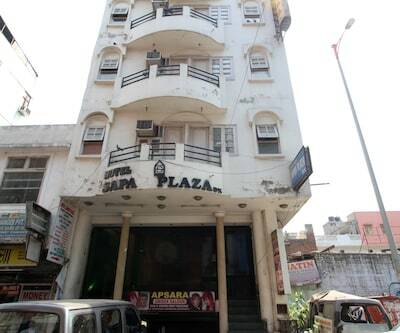 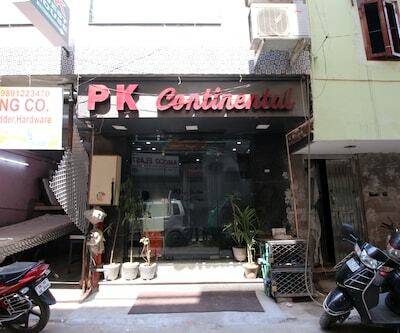 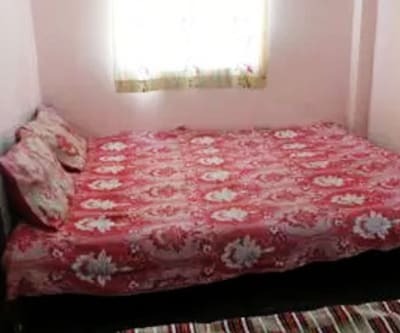 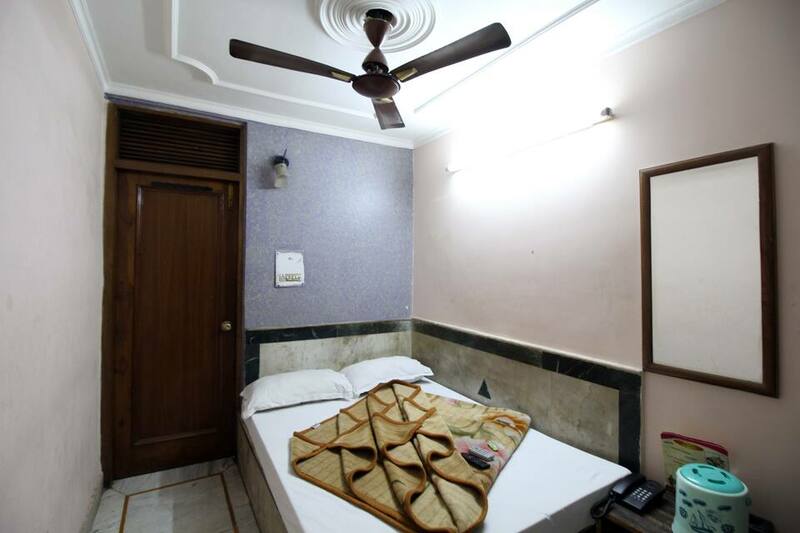 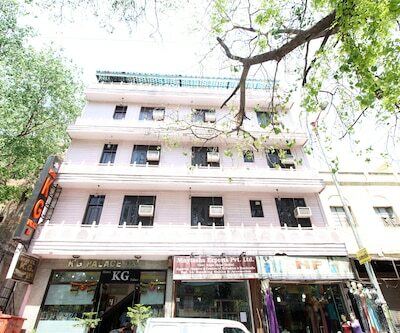 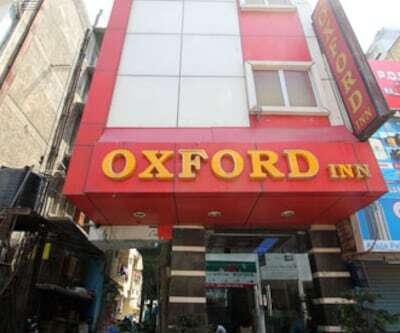 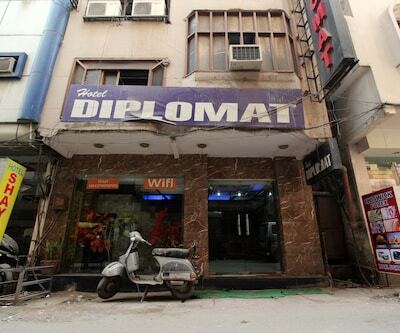 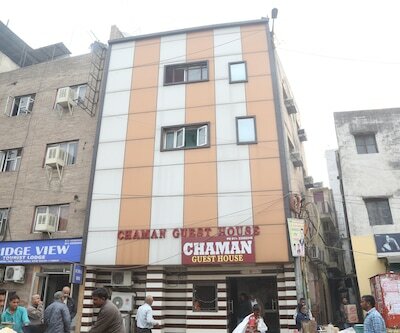 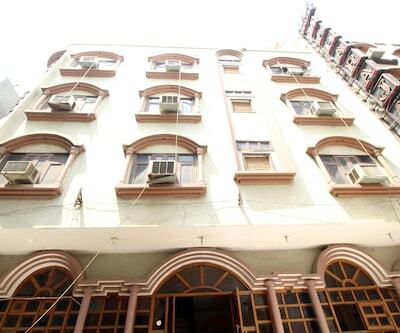 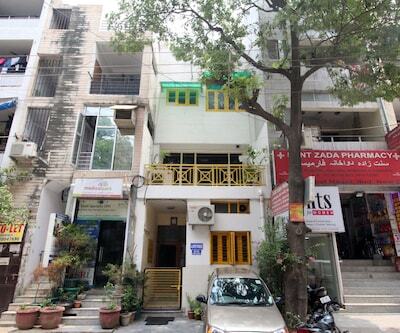 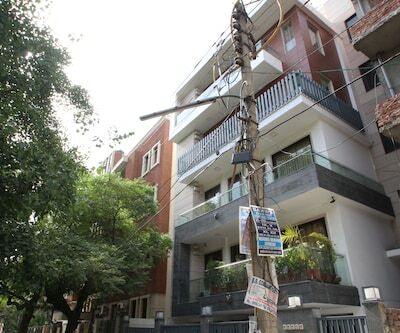 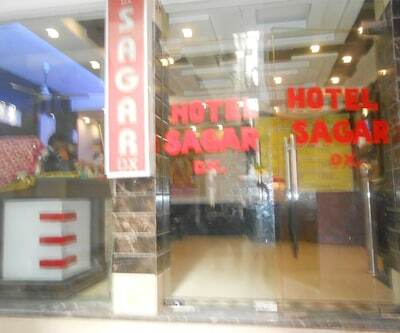 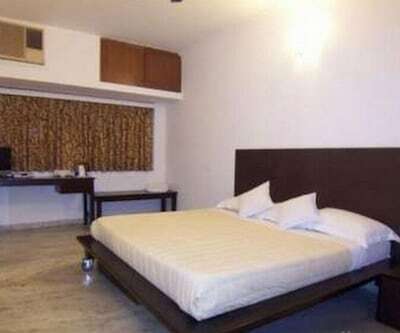 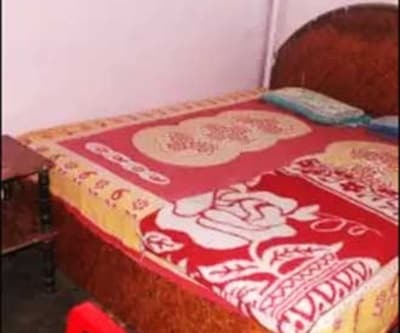 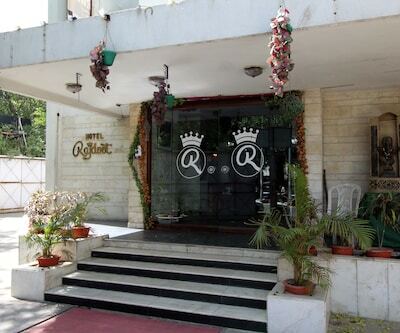 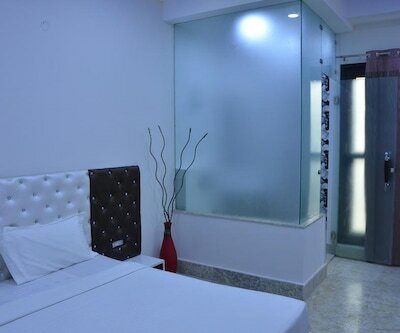 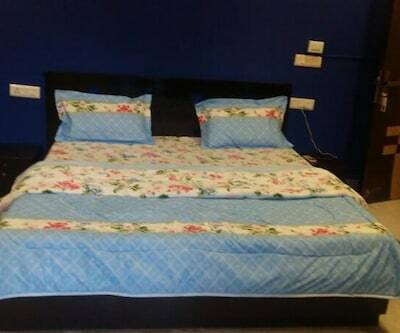 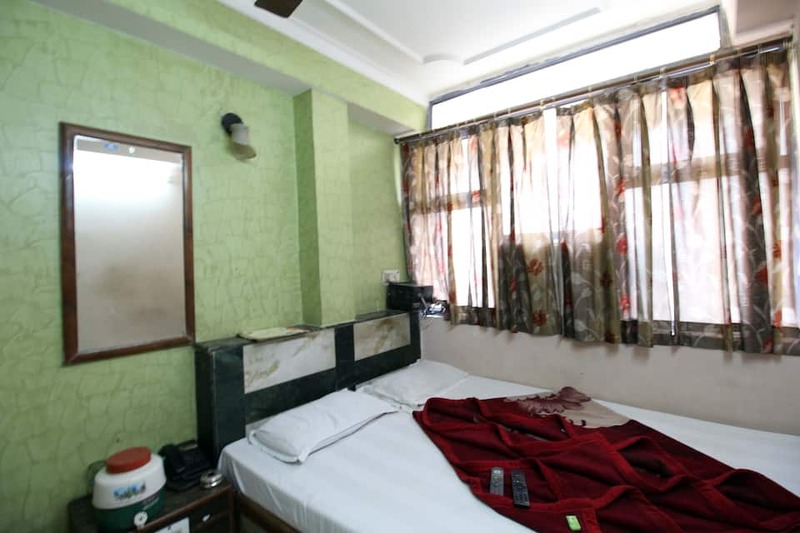 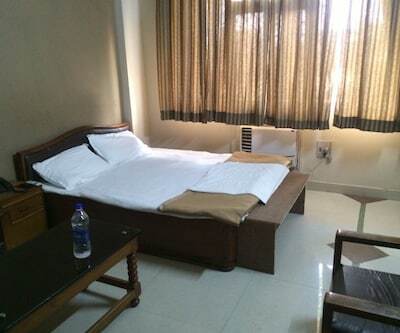 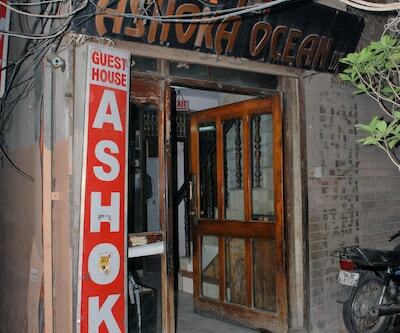 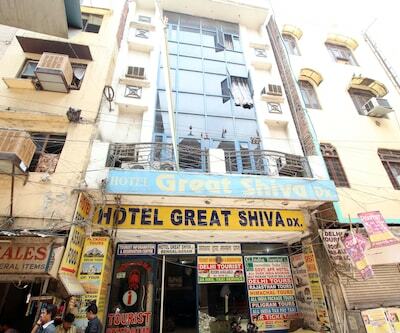 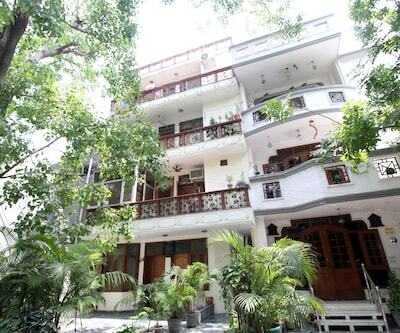 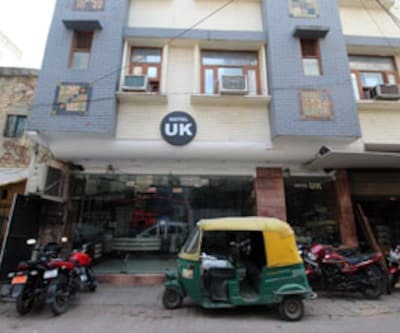 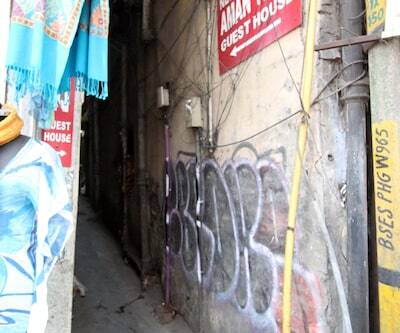 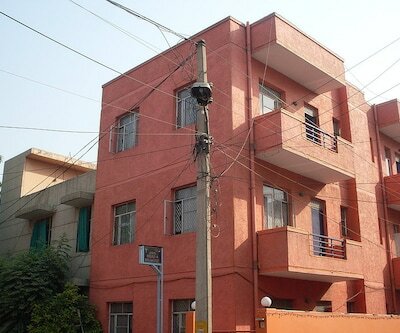 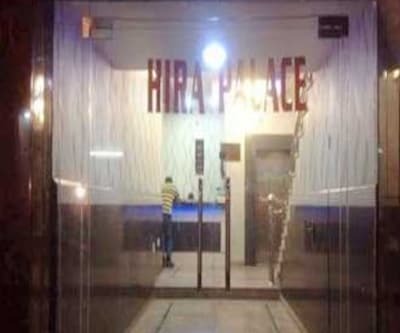 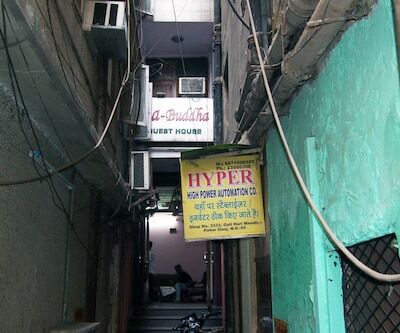 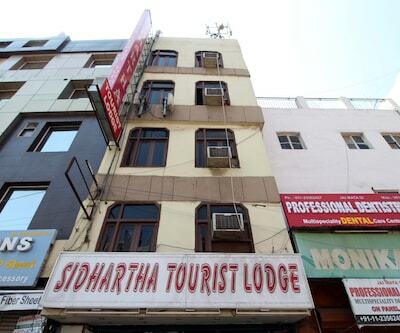 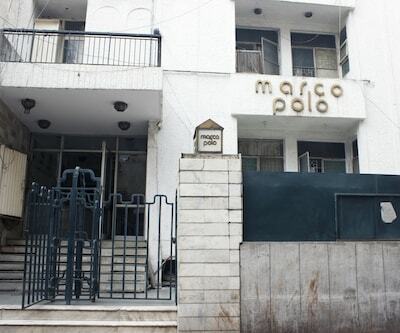 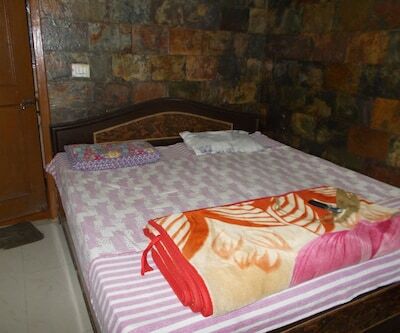 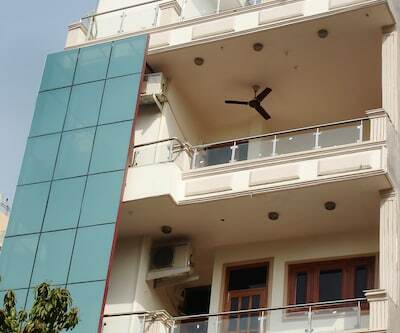 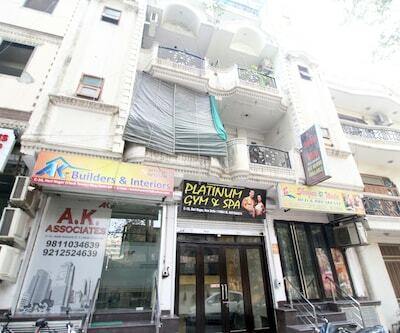 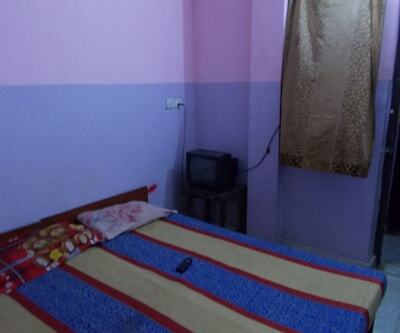 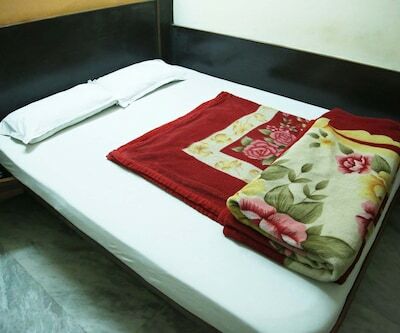 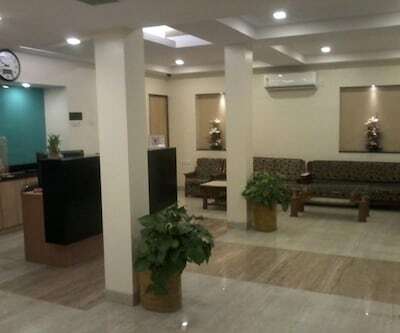 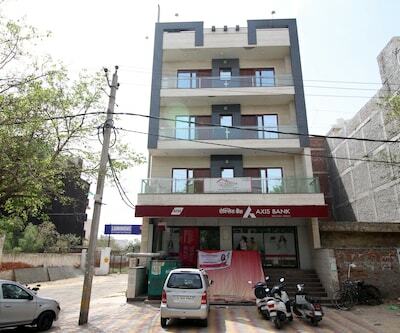 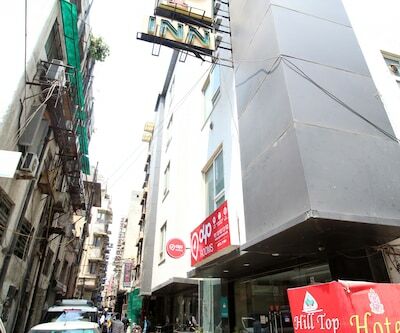 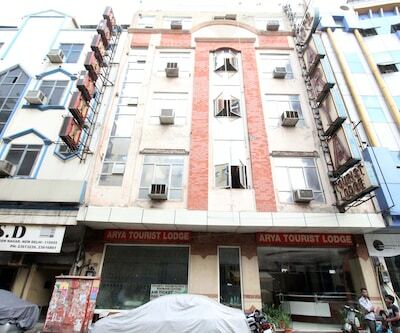 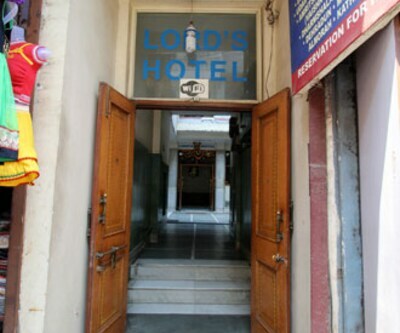 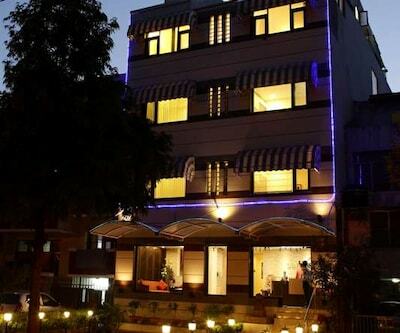 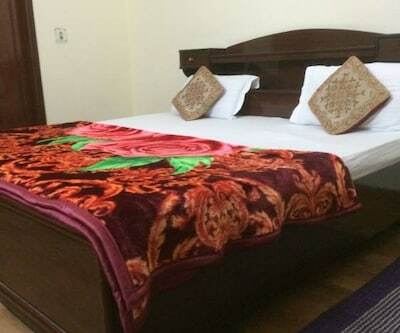 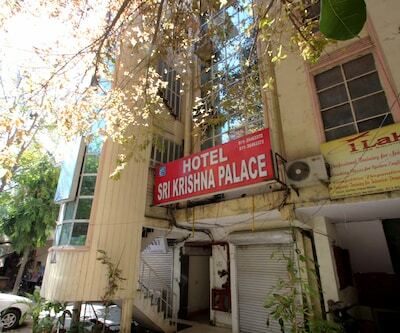 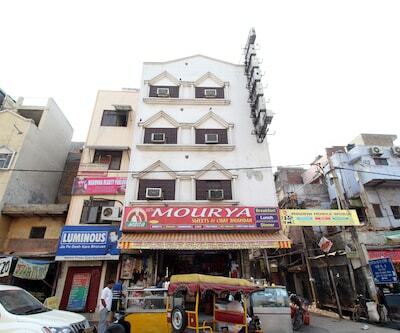 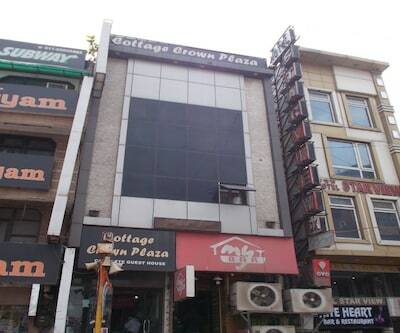 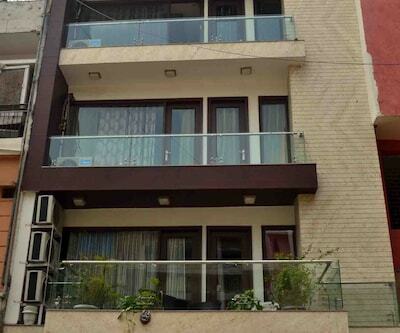 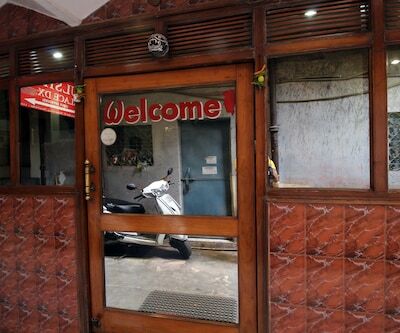 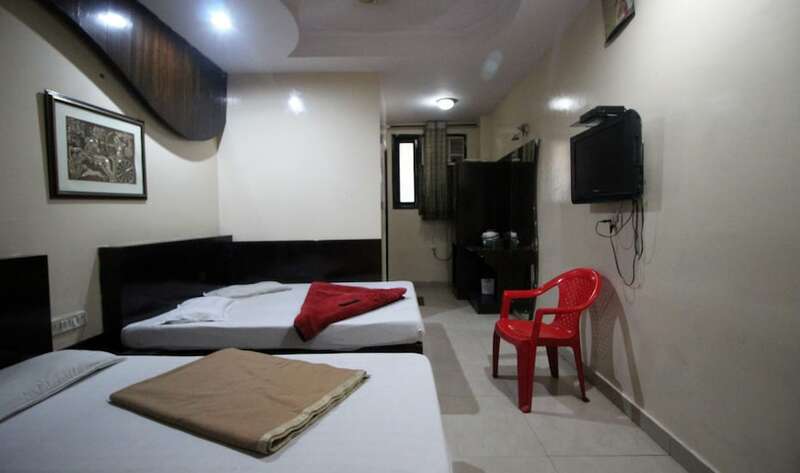 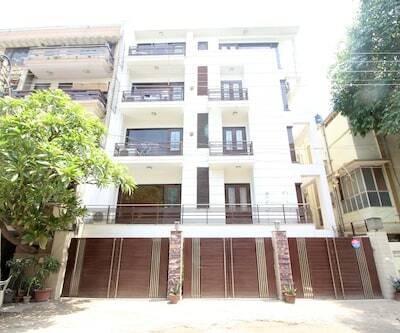 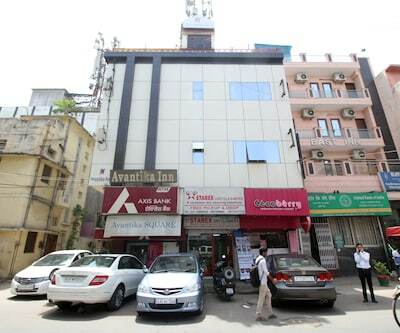 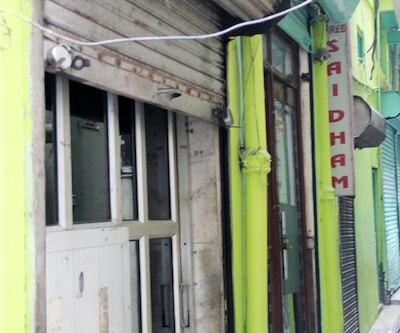 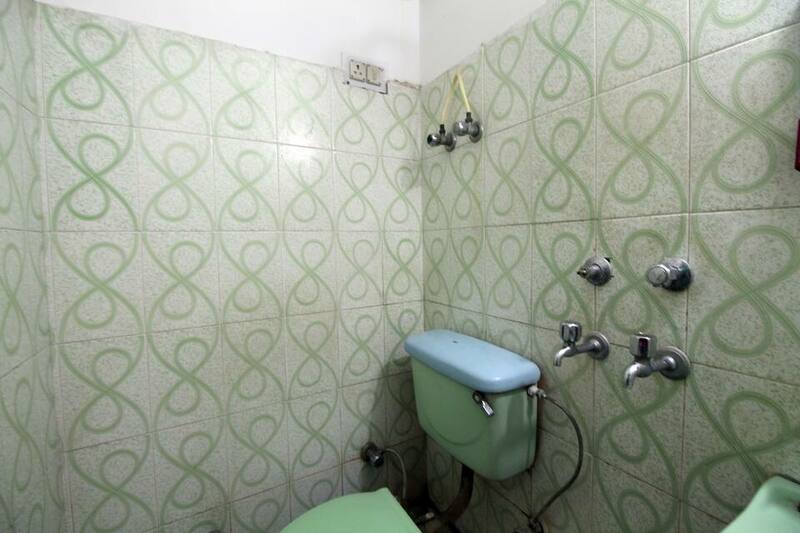 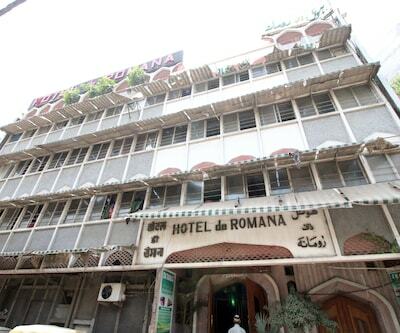 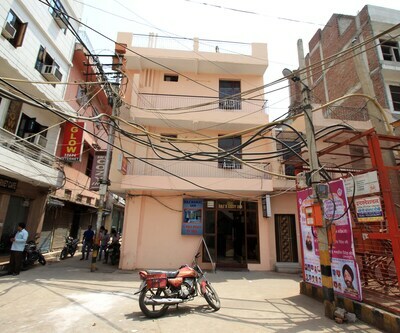 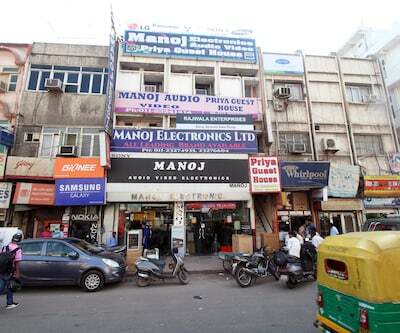 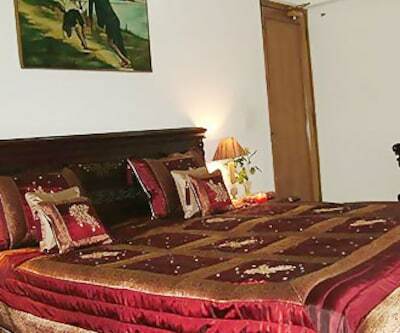 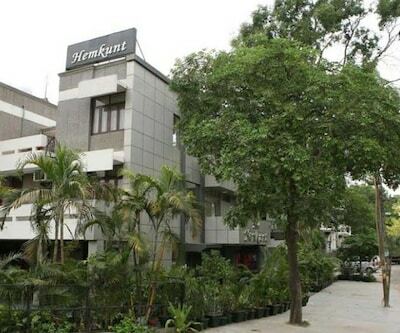 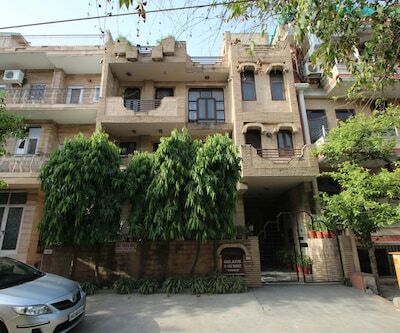 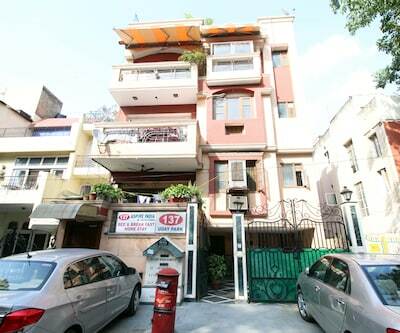 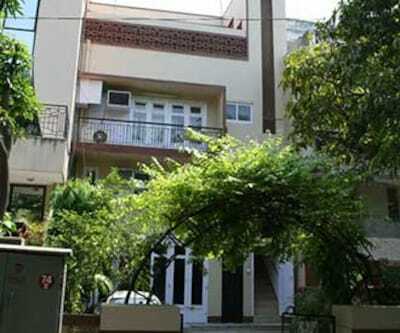 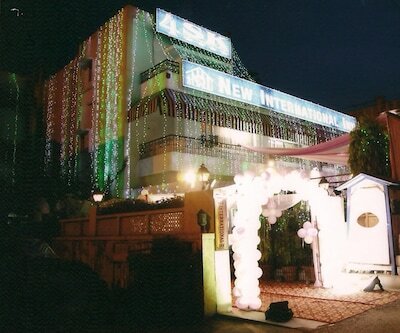 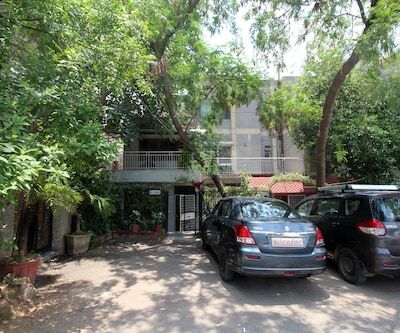 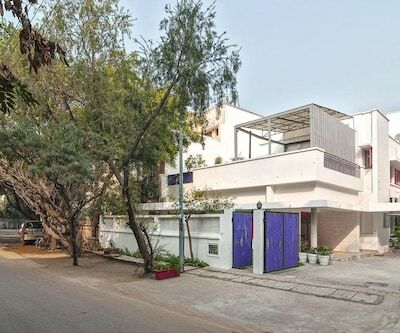 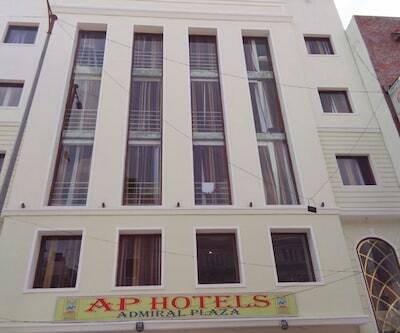 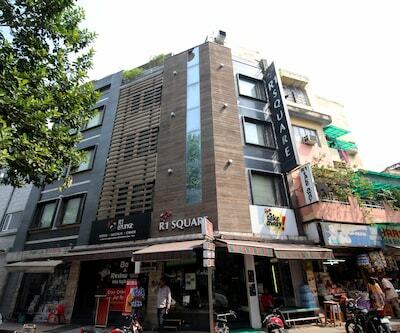 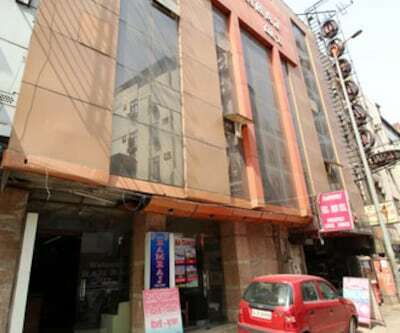 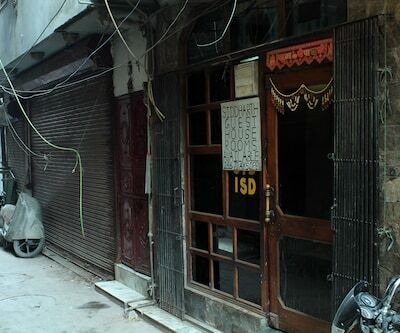 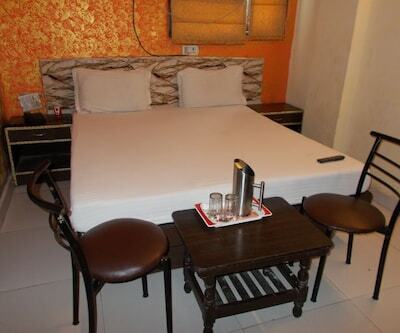 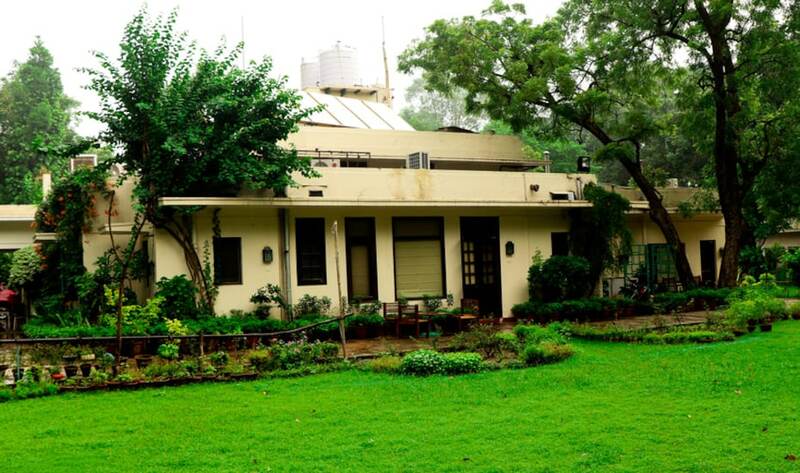 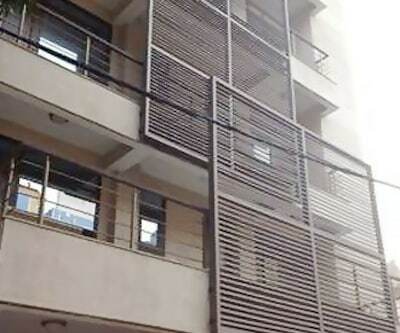 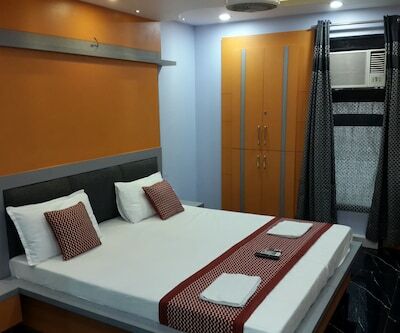 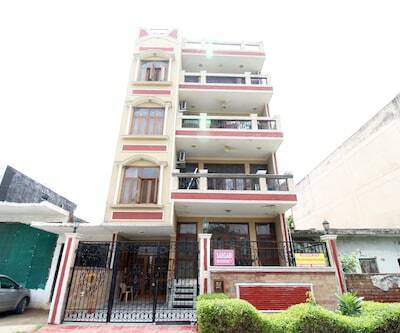 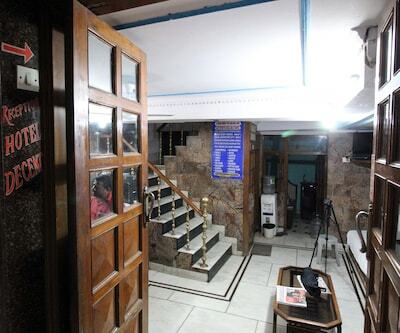 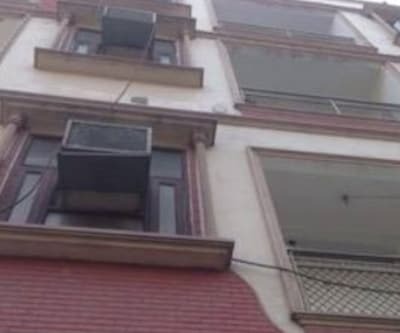 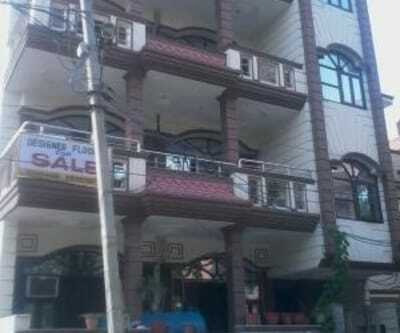 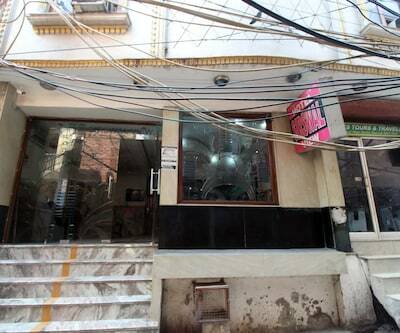 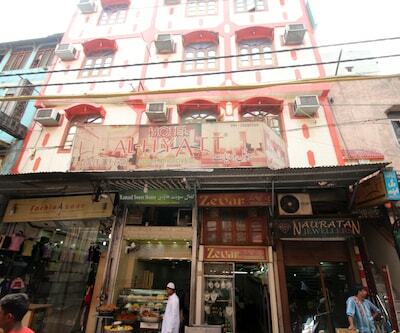 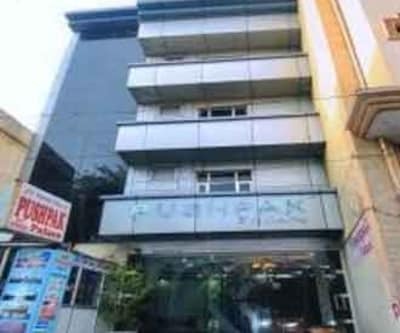 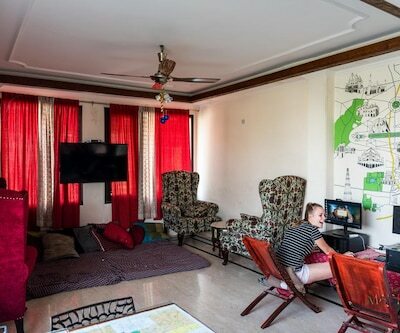 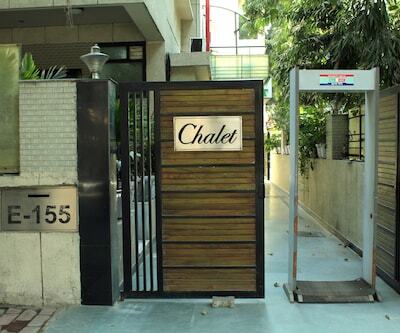 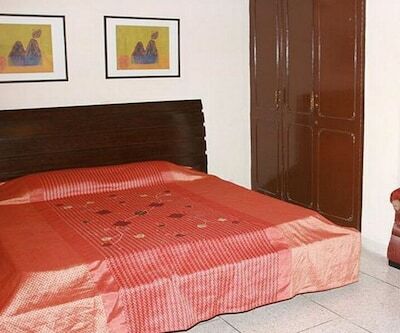 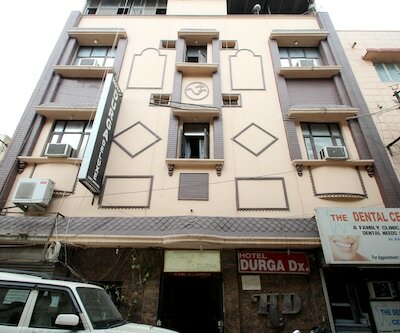 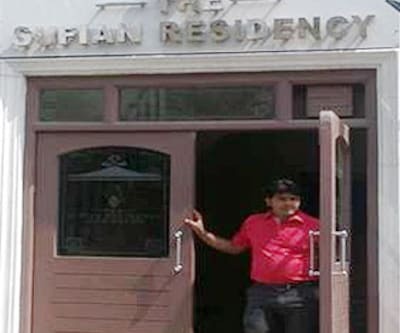 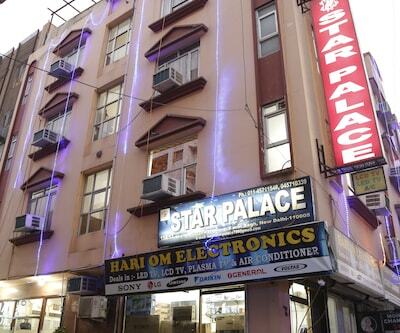 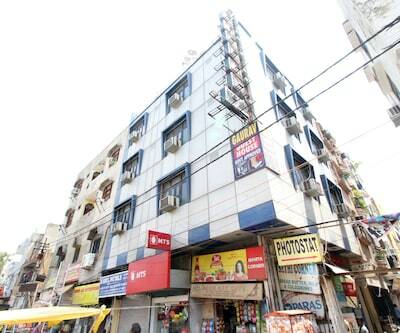 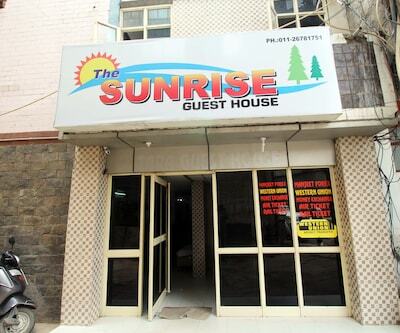 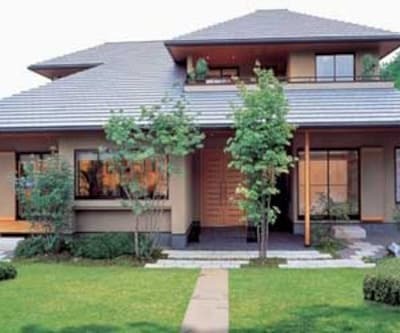 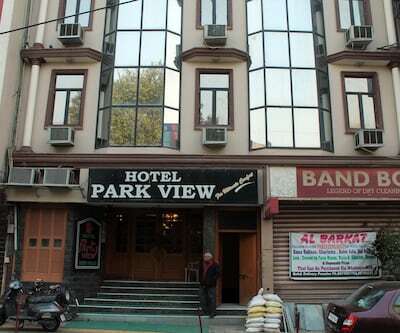 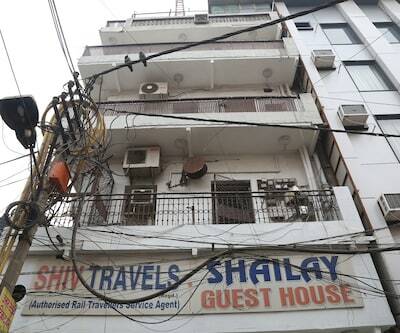 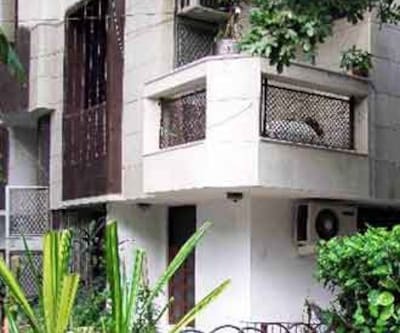 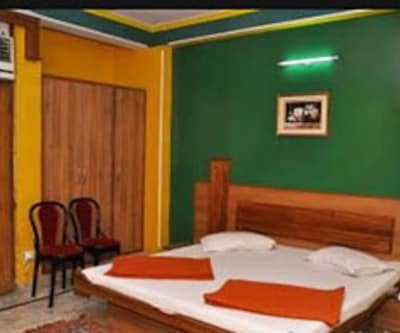 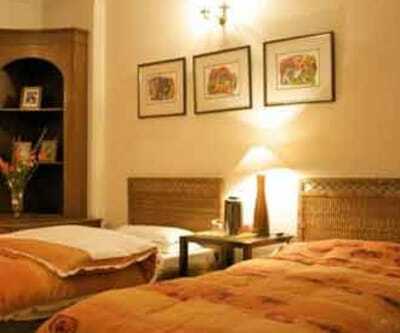 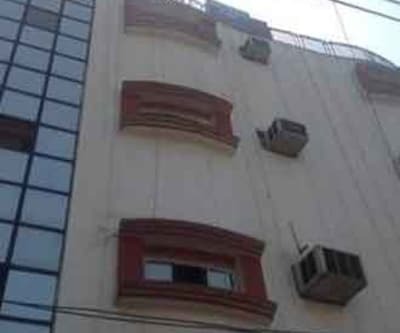 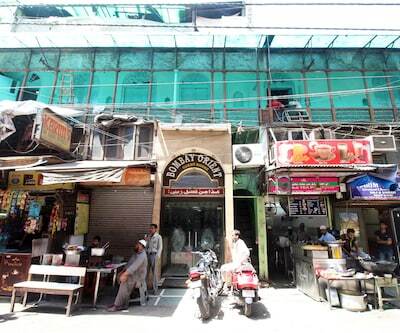 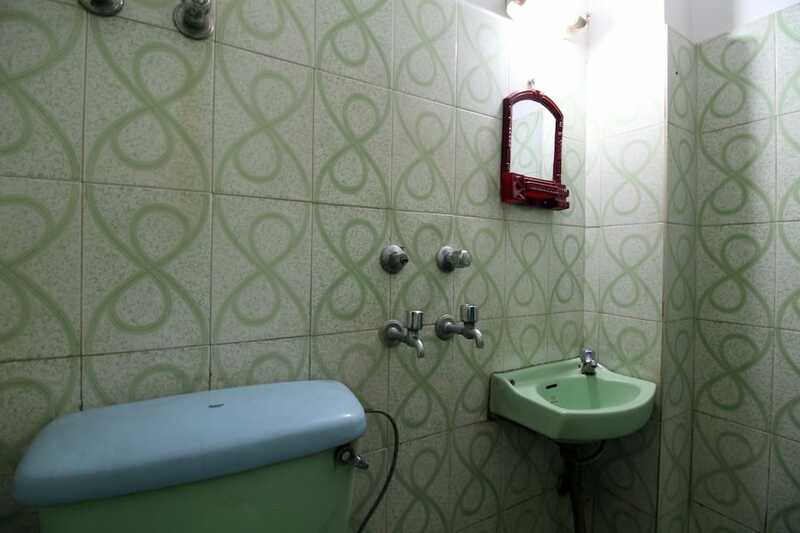 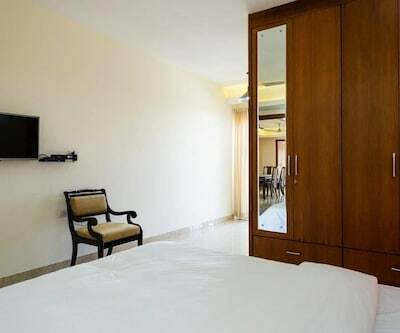 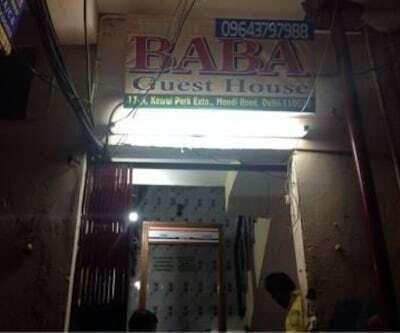 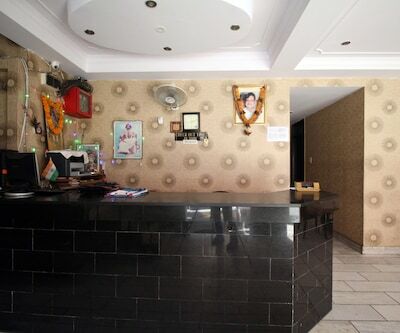 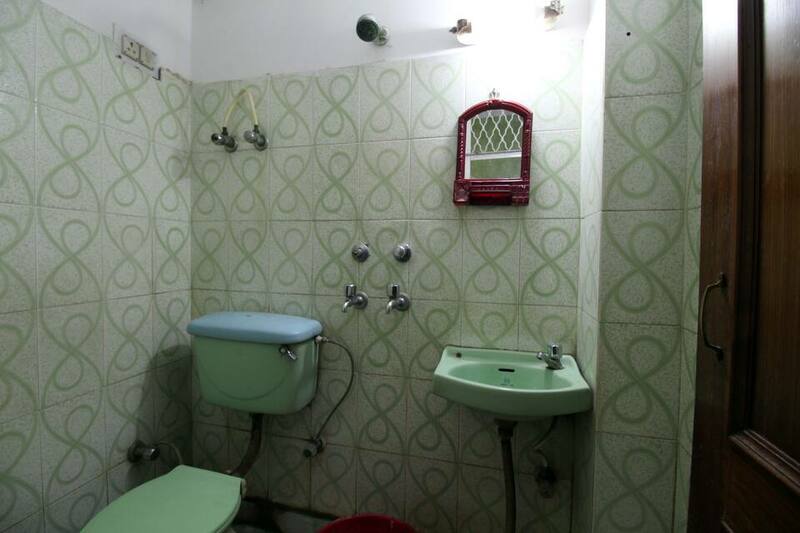 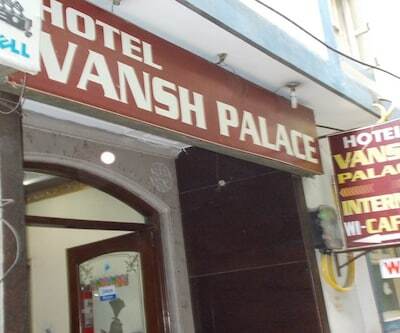 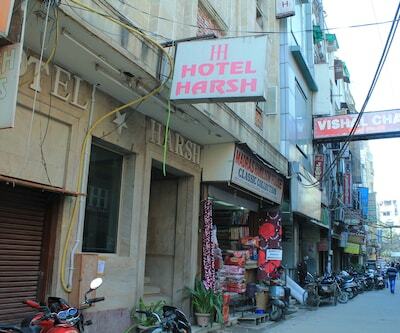 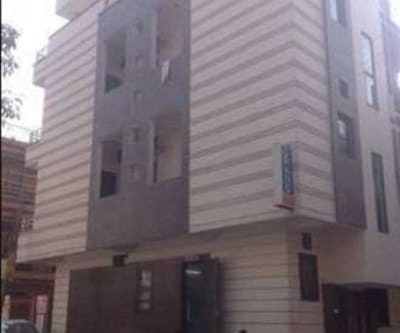 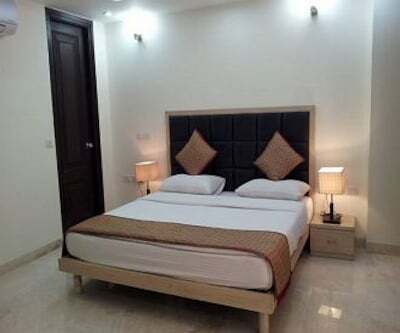 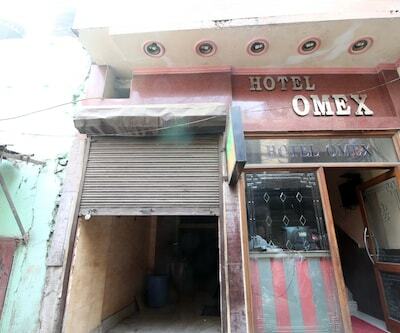 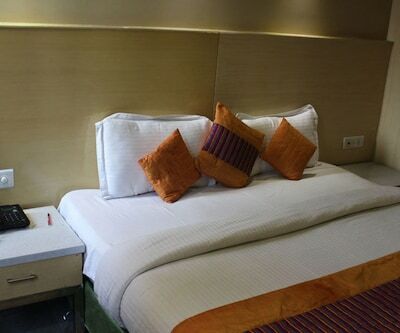 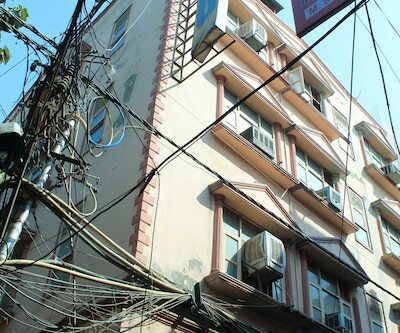 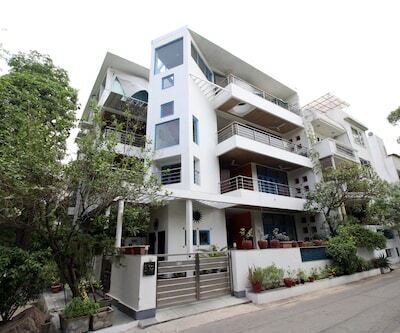 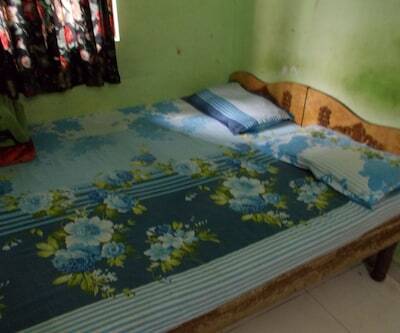 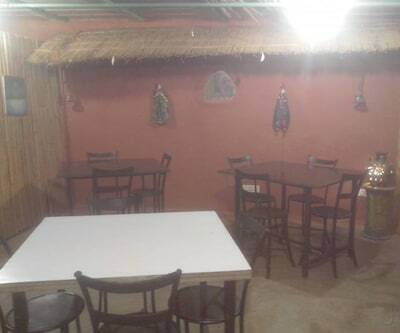 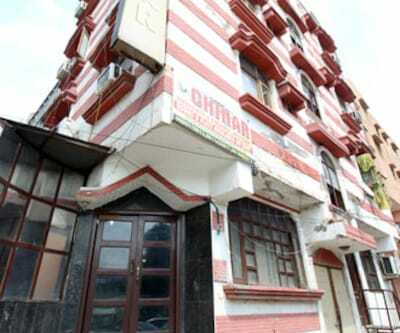 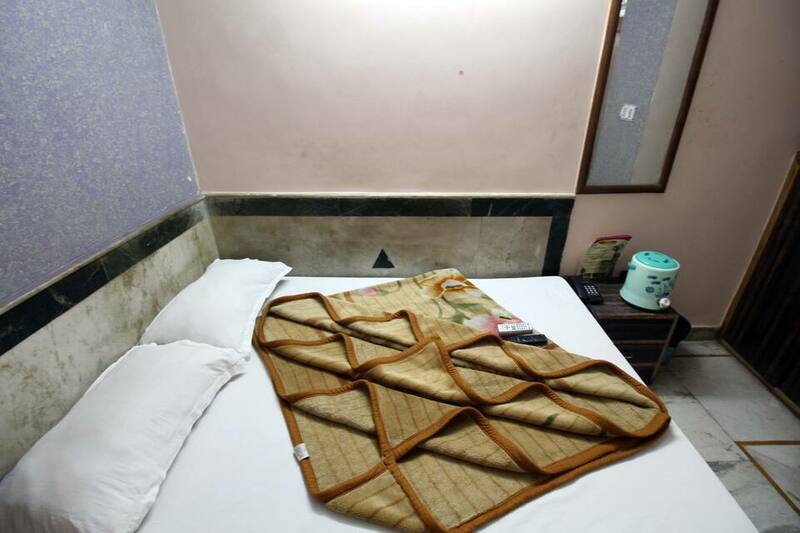 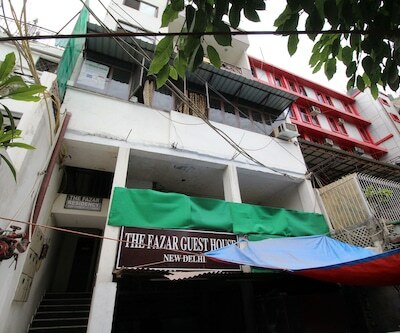 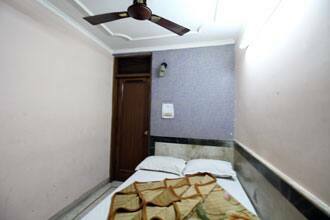 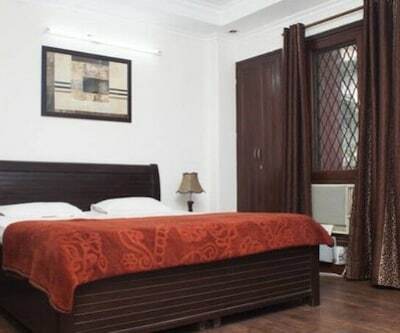 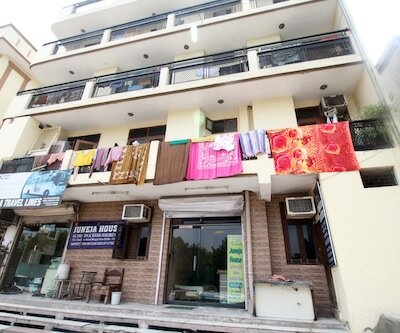 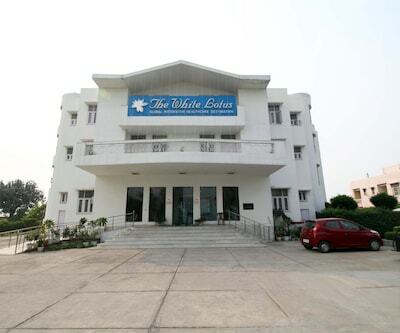 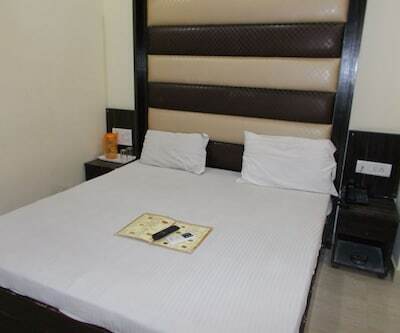 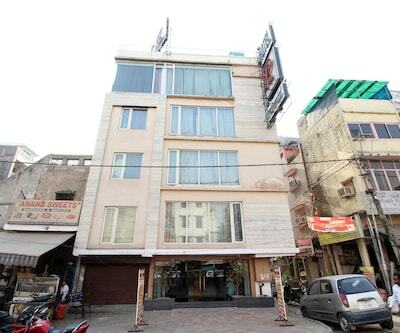 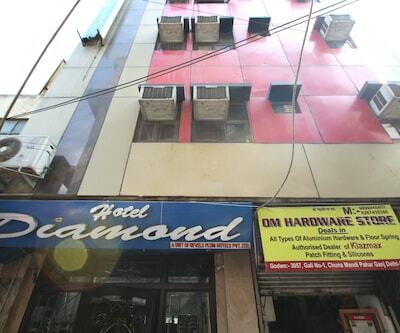 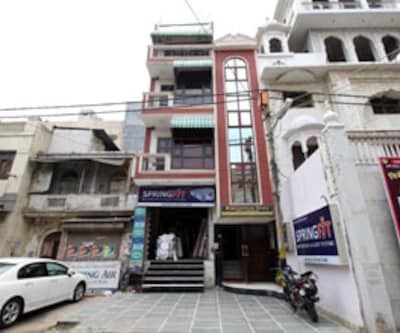 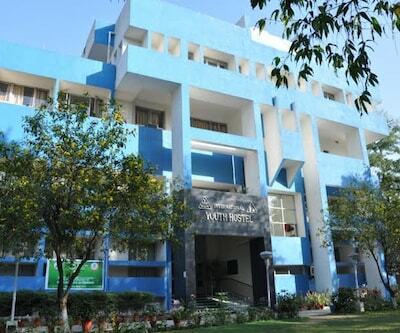 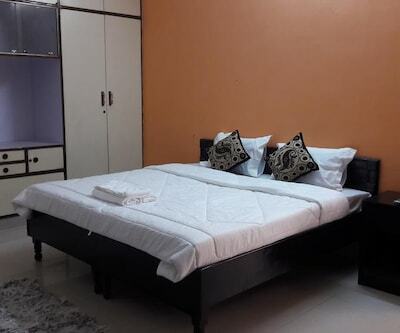 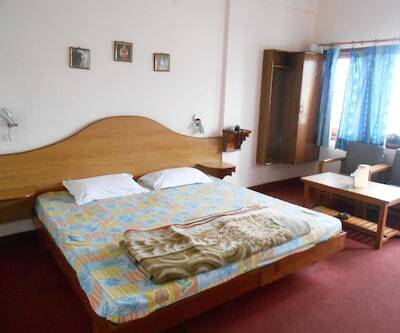 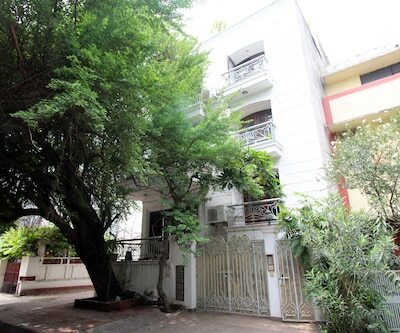 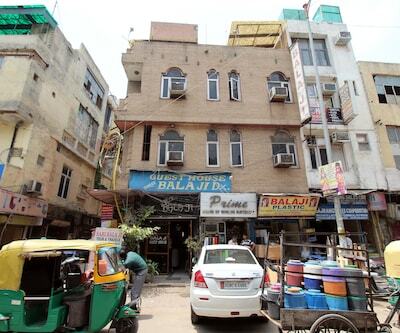 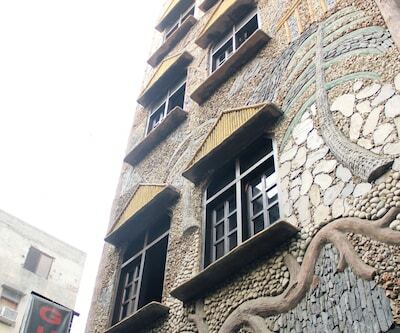 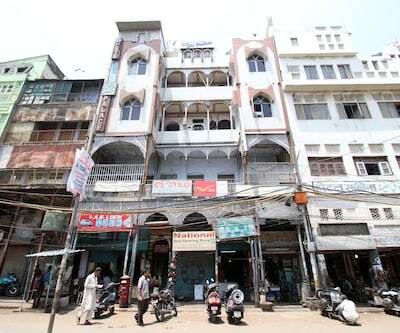 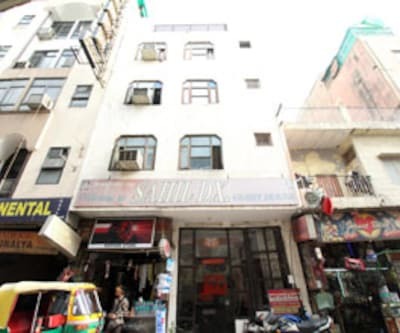 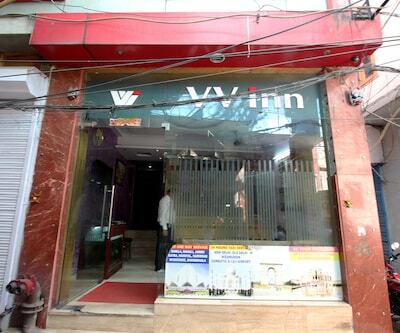 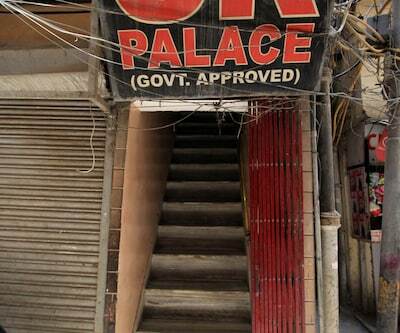 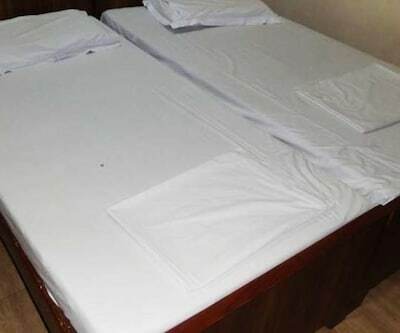 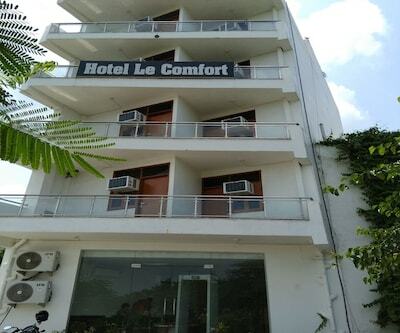 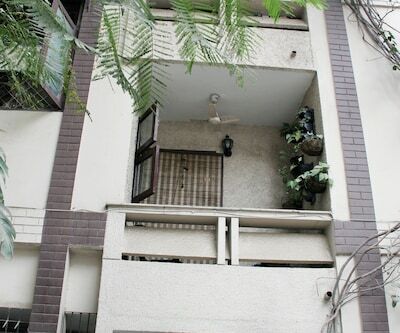 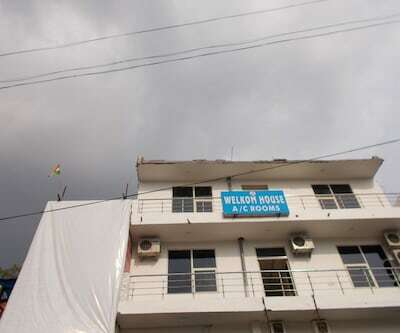 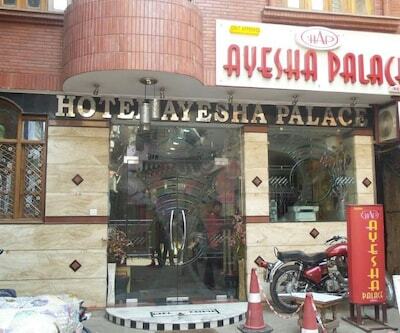 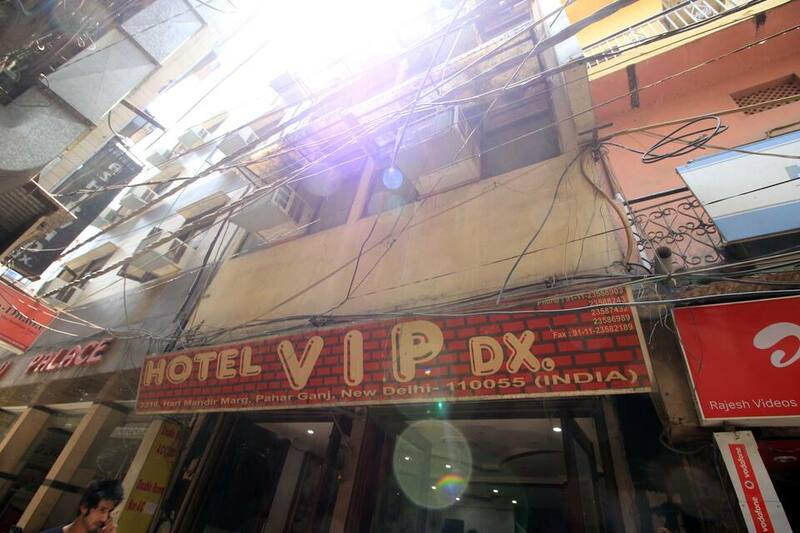 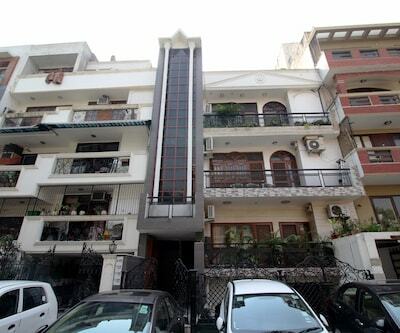 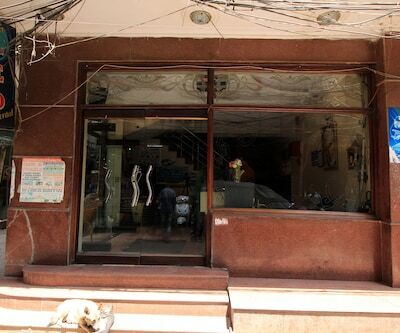 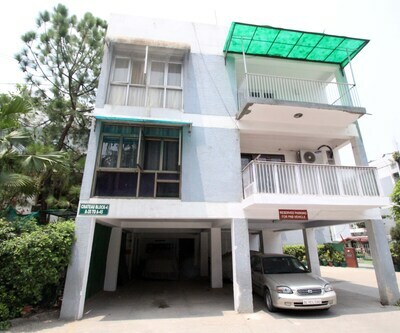 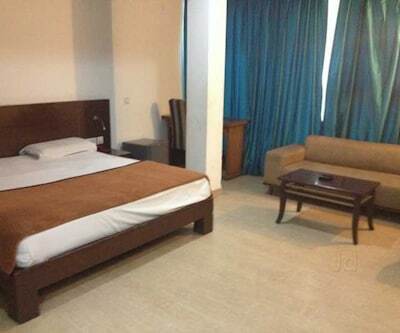 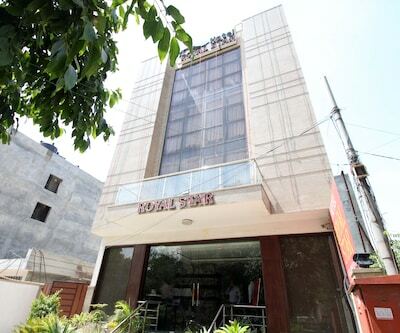 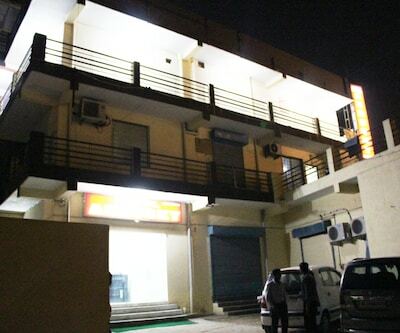 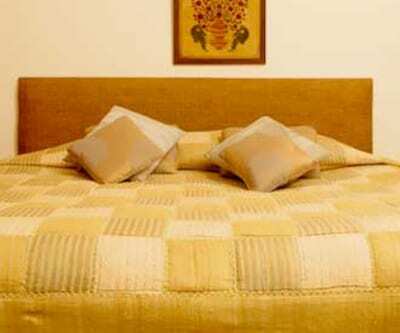 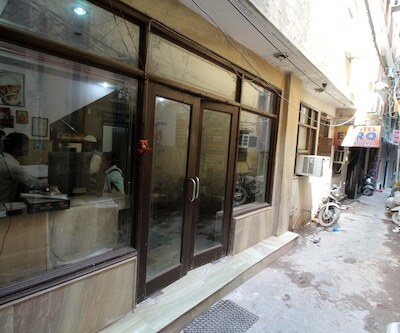 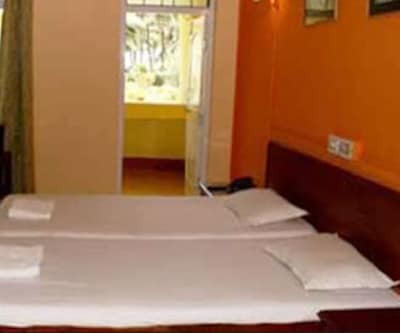 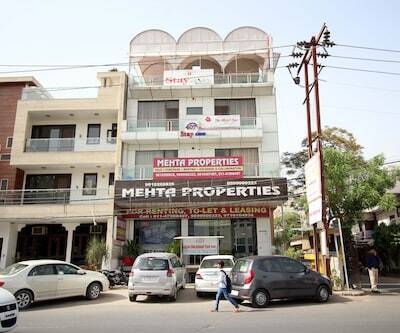 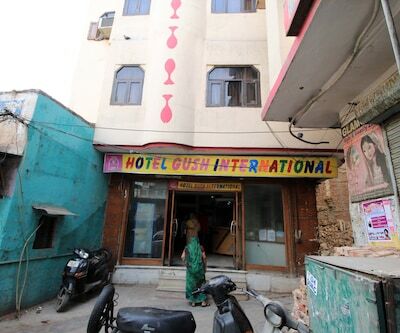 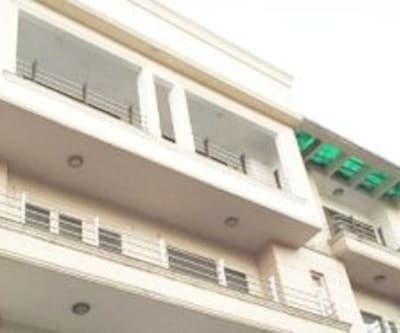 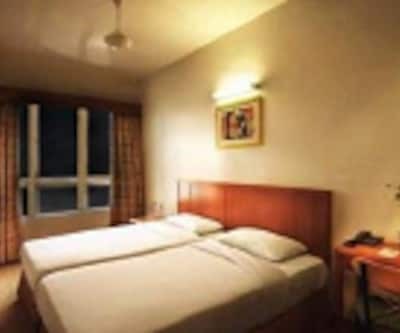 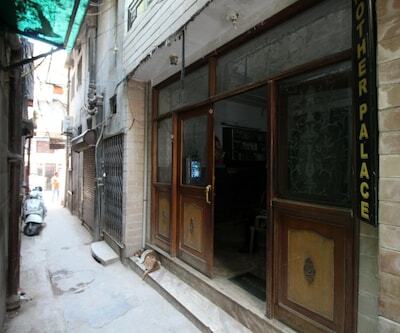 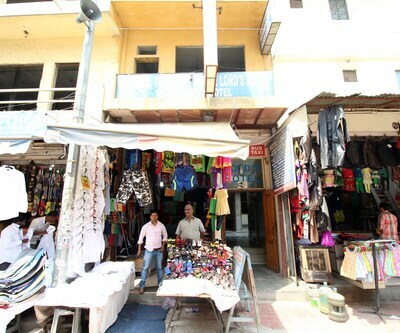 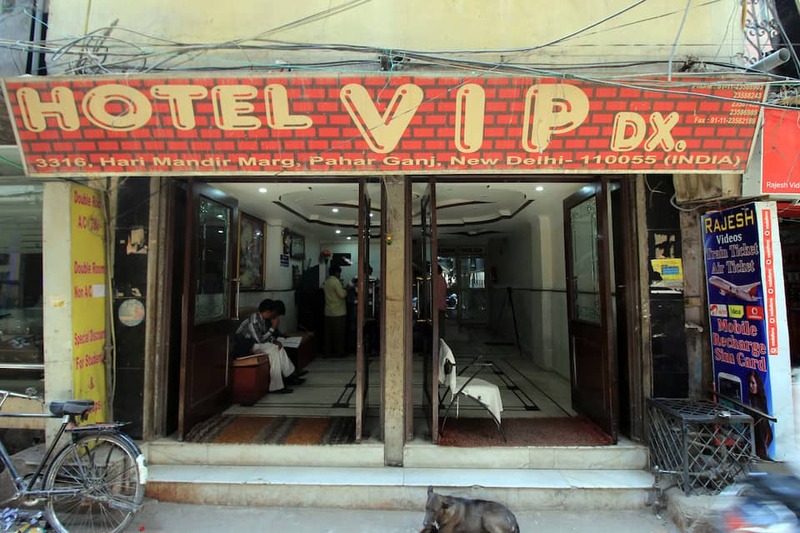 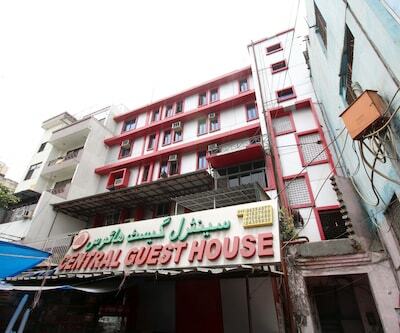 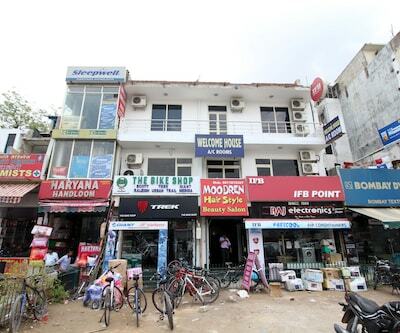 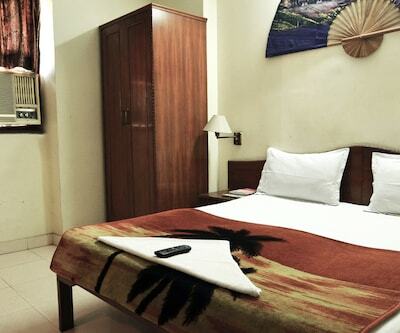 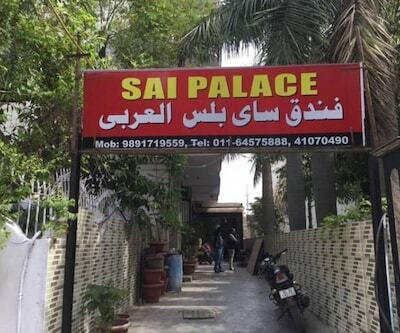 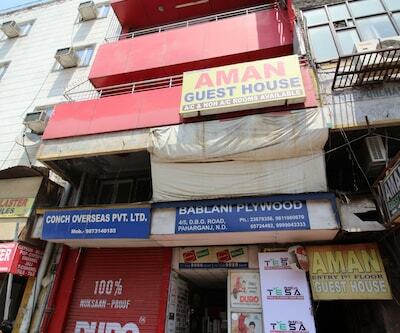 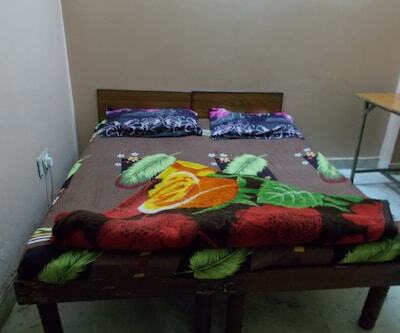 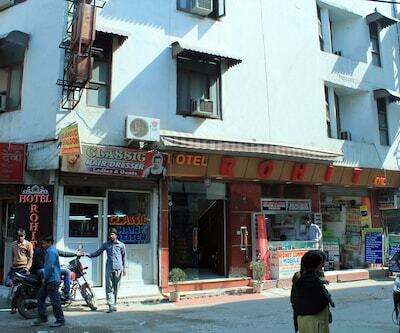 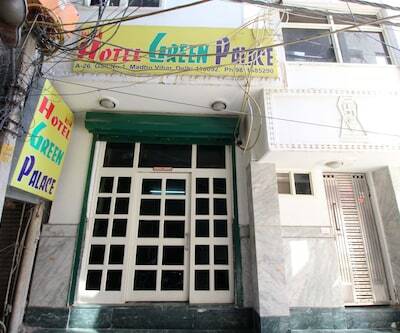 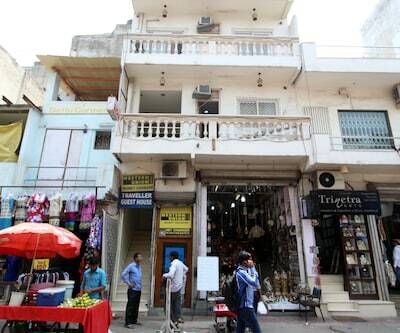 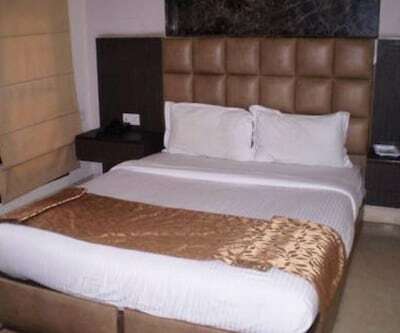 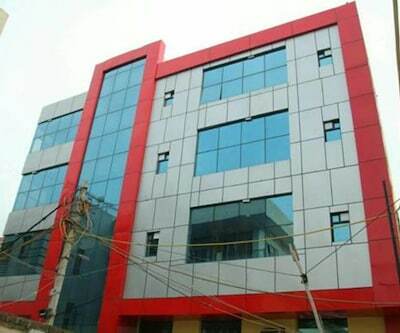 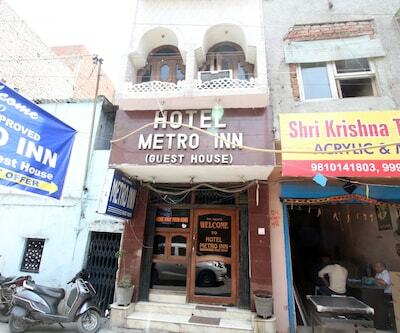 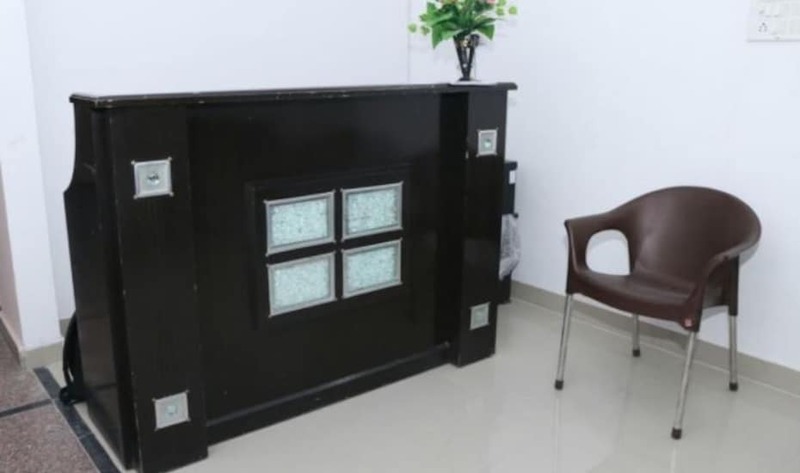 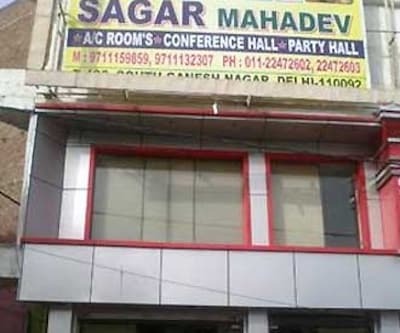 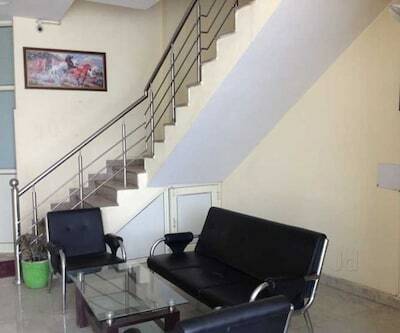 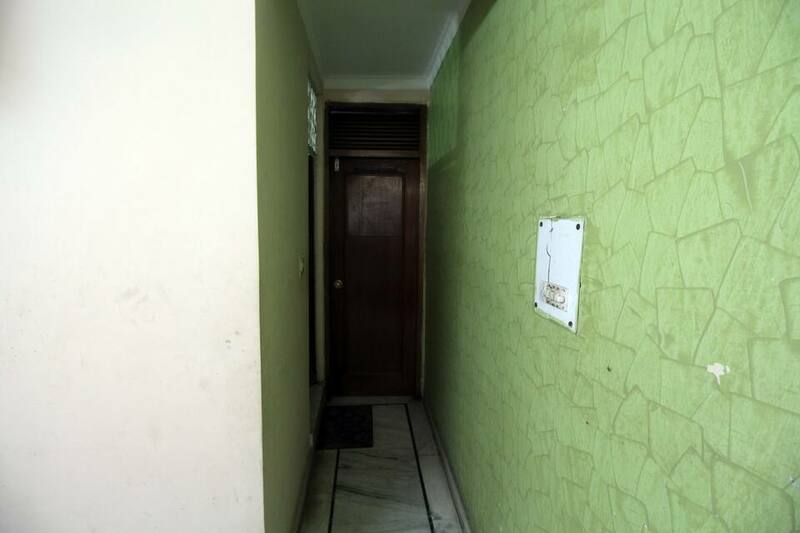 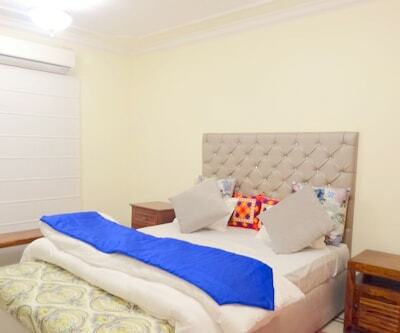 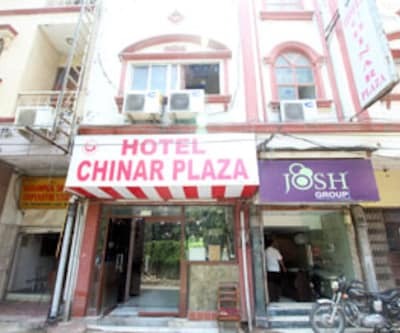 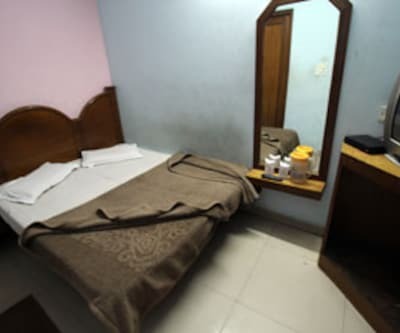 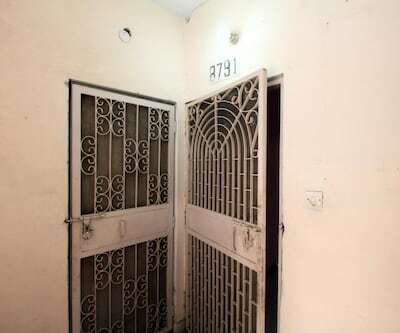 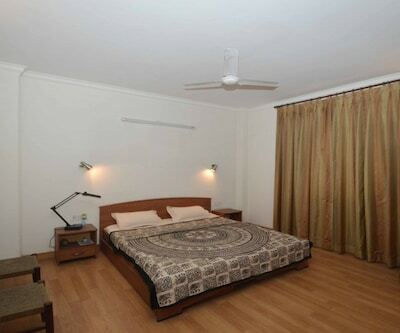 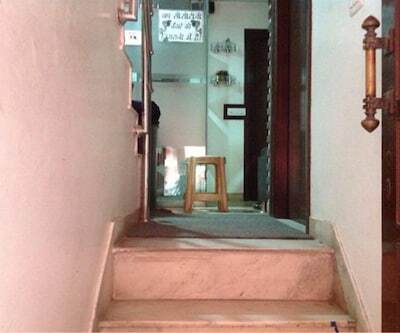 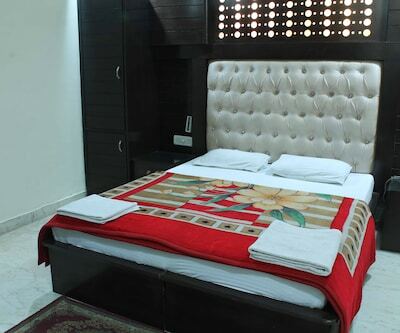 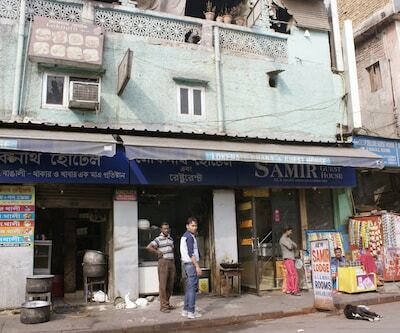 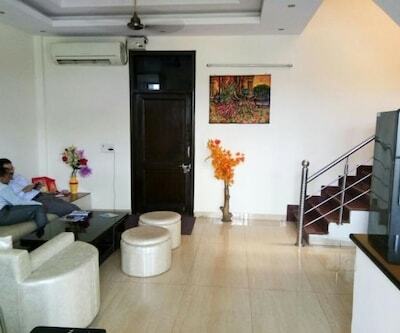 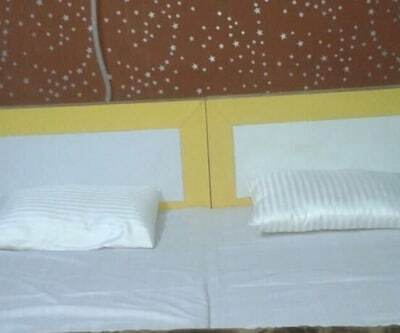 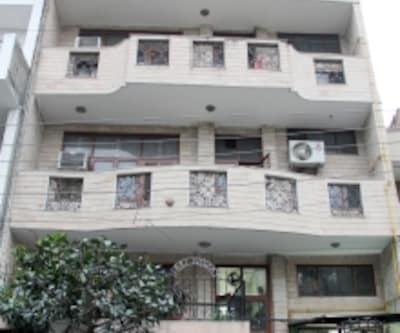 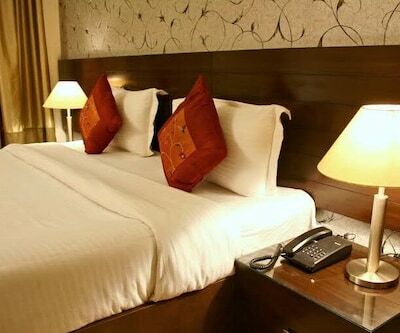 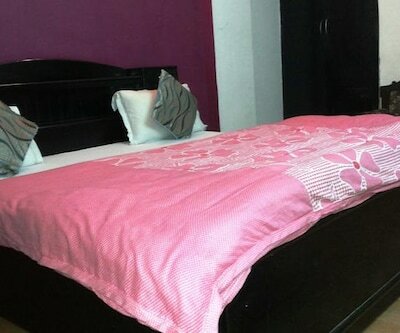 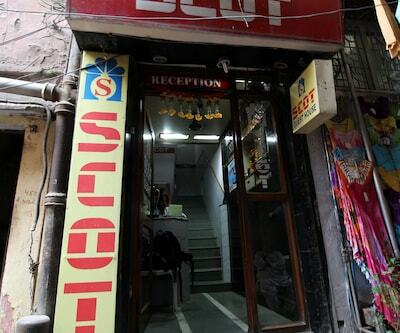 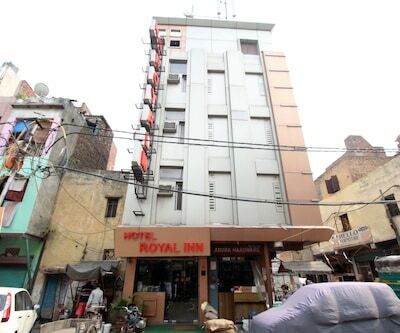 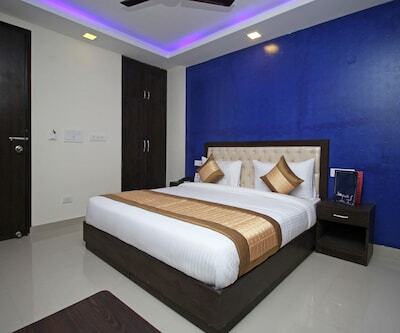 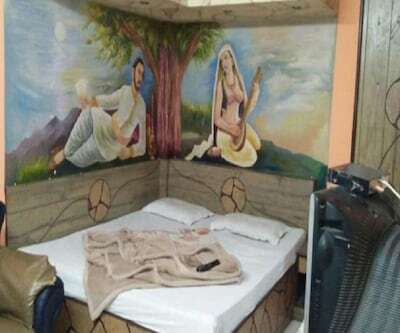 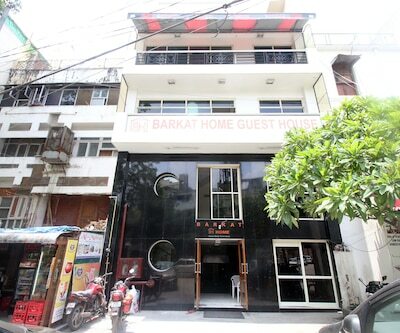 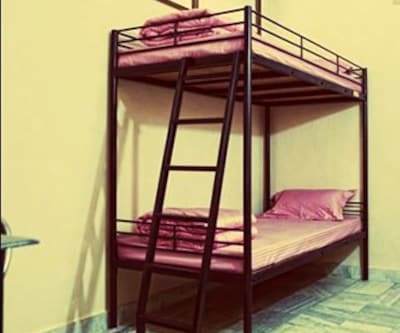 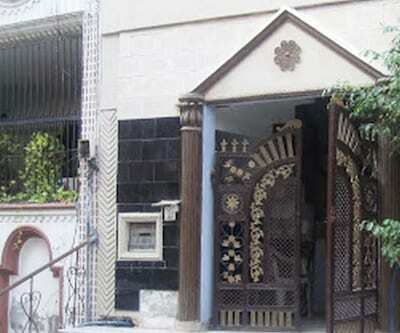 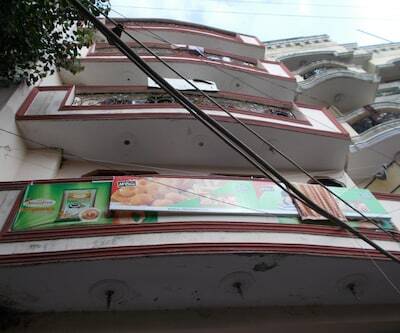 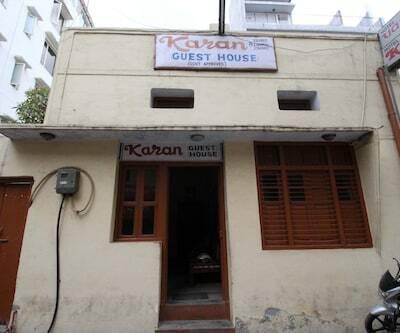 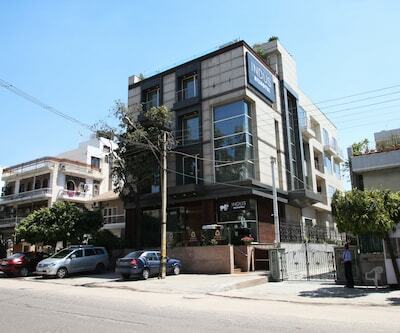 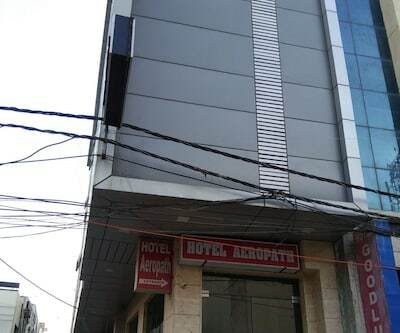 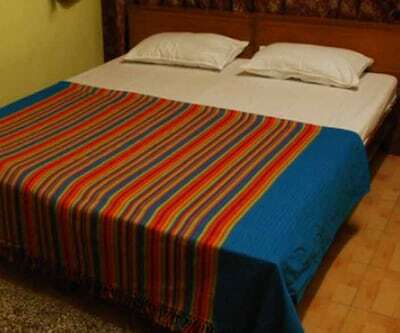 VIP Deluxe Hotel is located in New Delhi and provides accommodation in 15 rooms. 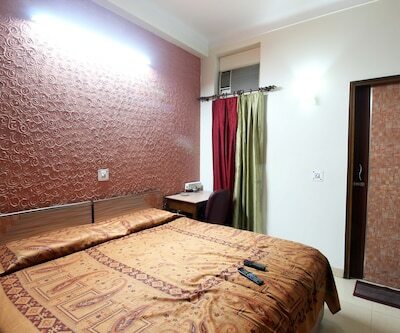 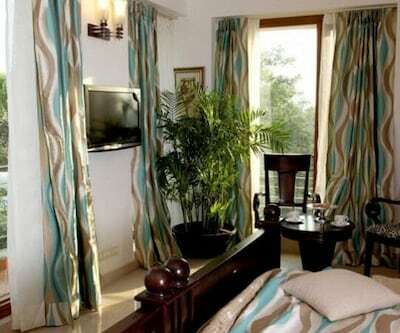 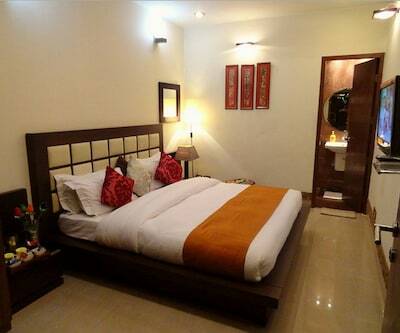 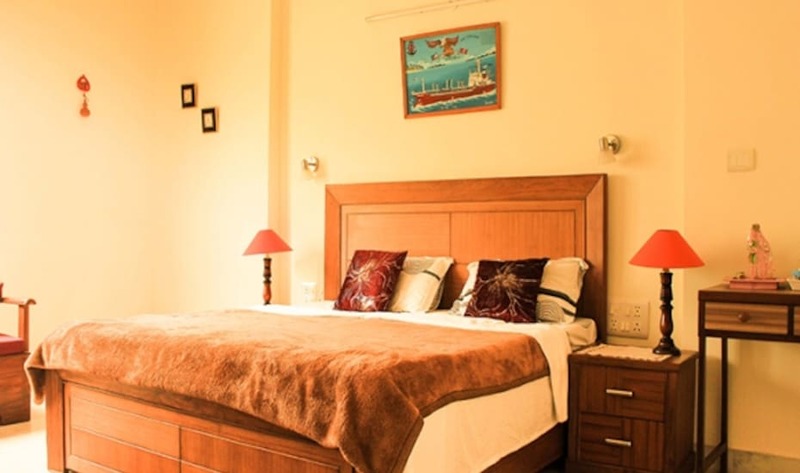 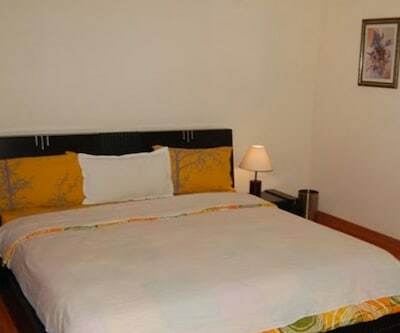 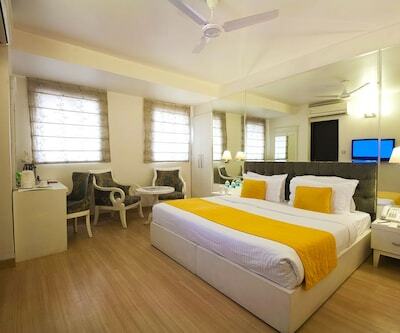 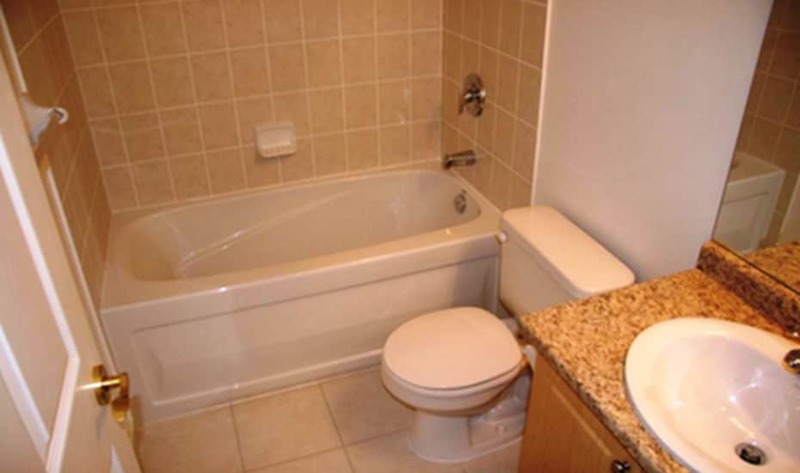 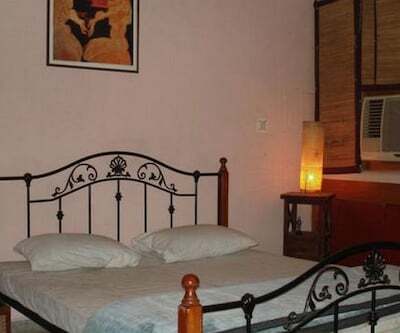 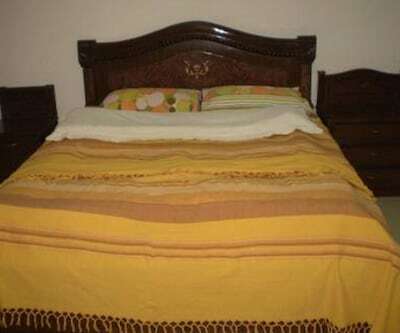 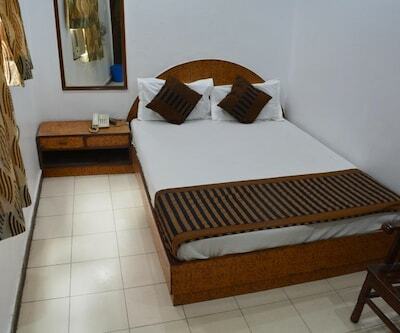 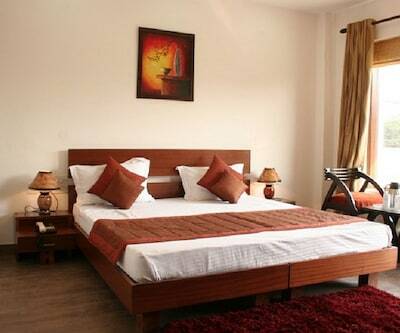 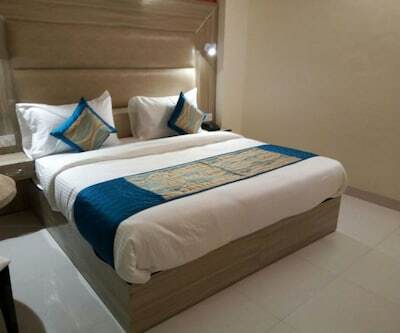 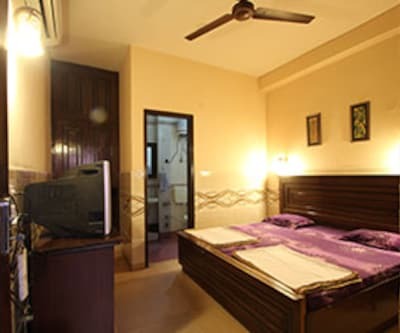 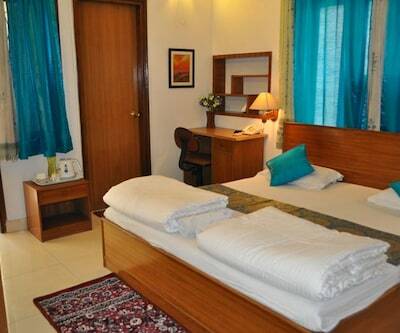 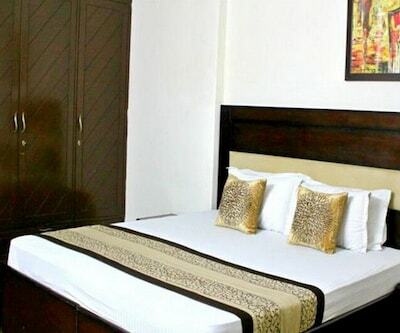 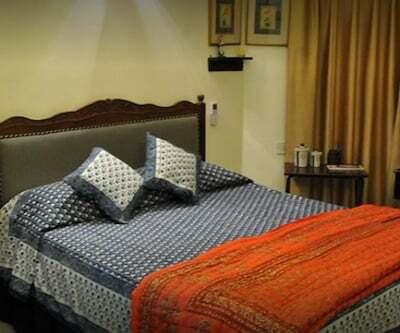 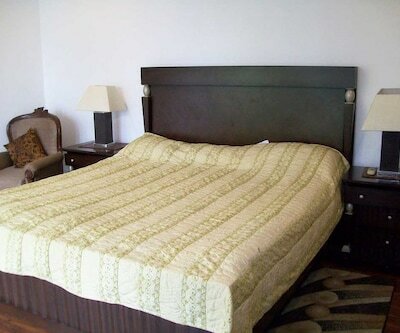 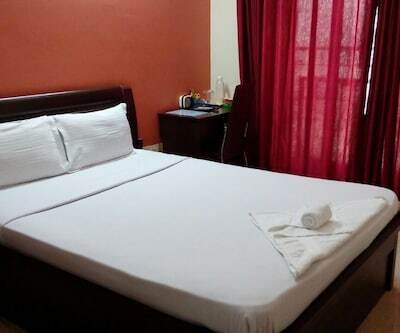 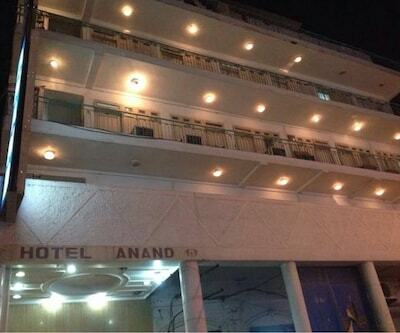 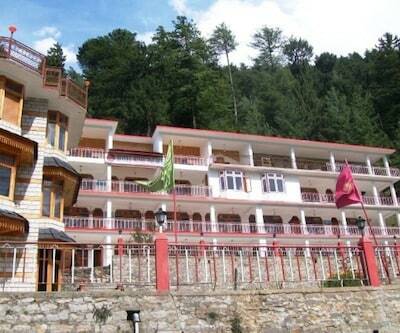 Offering an array of facilities and conveniences, the hotel rooms are impeccable styled with a warm and cozy ambiance. 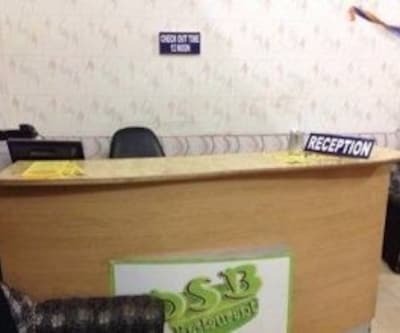 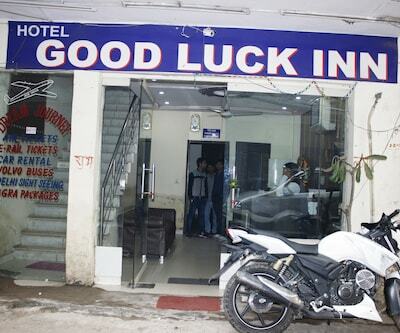 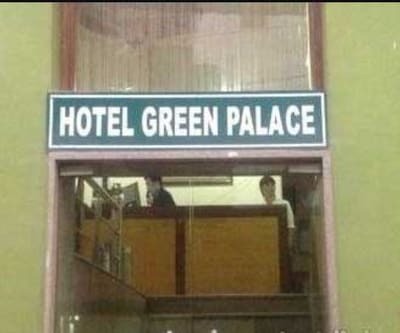 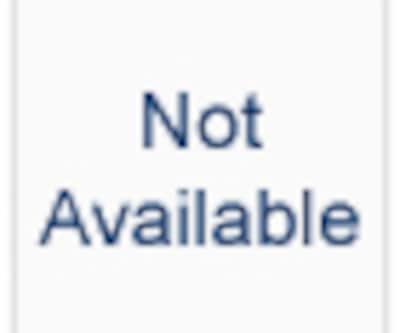 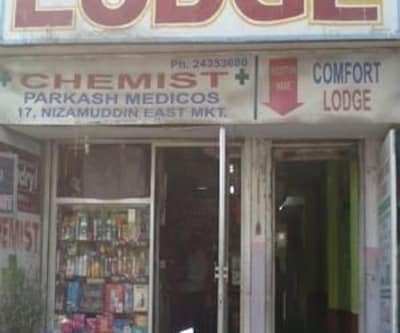 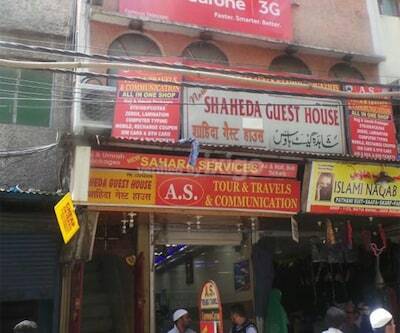 The hotel staff is always helpful in case of any needs or queries. 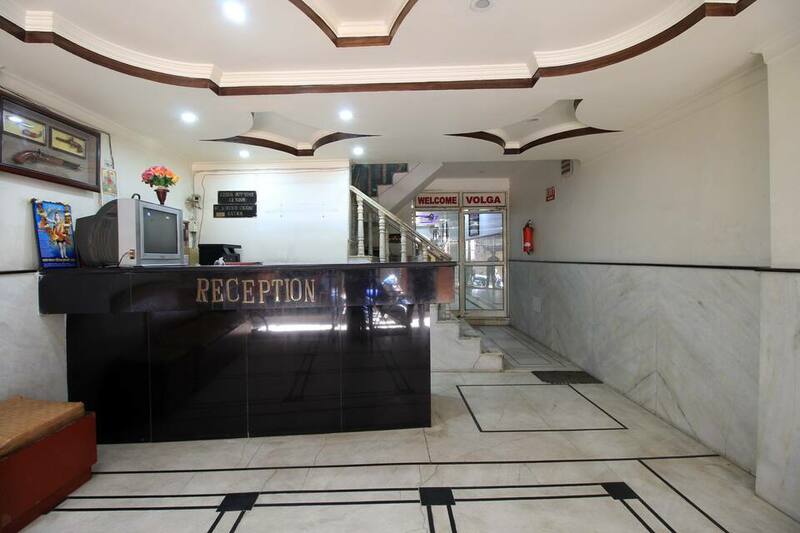 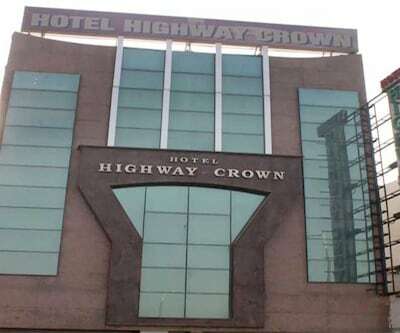 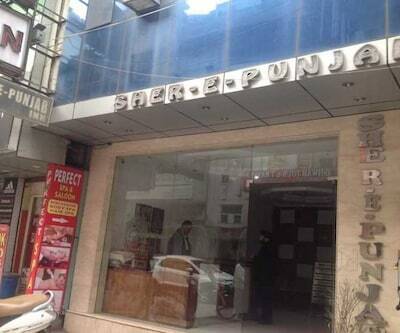 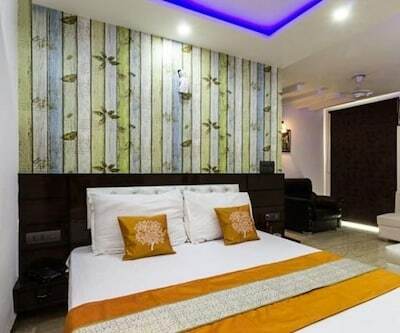 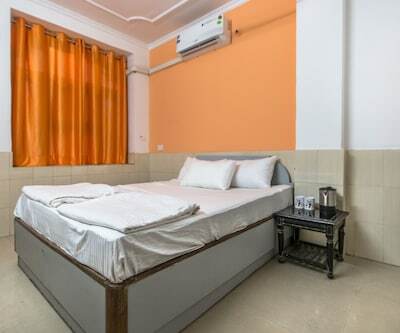 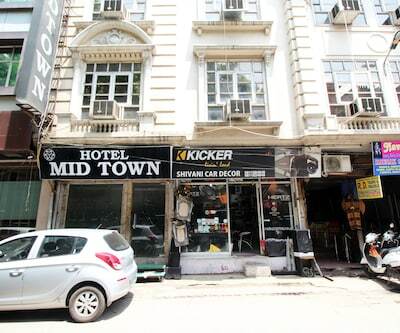 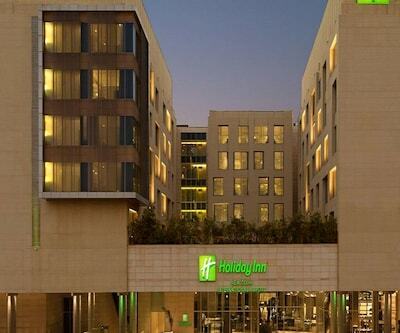 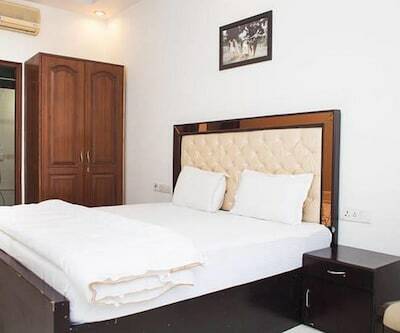 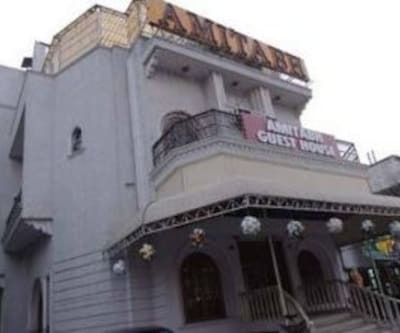 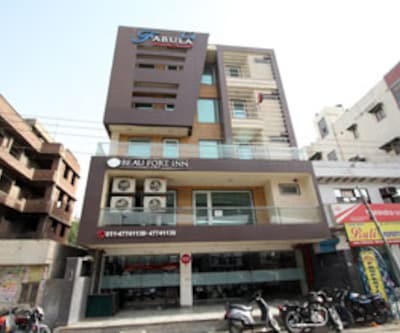 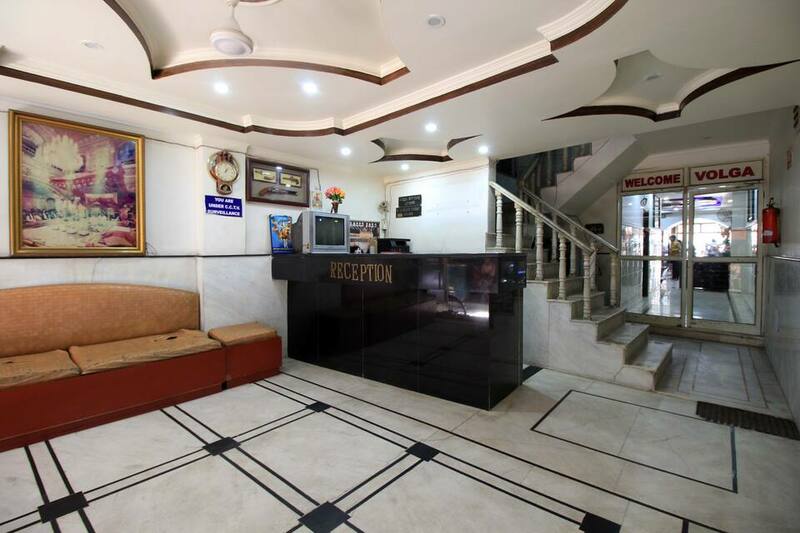 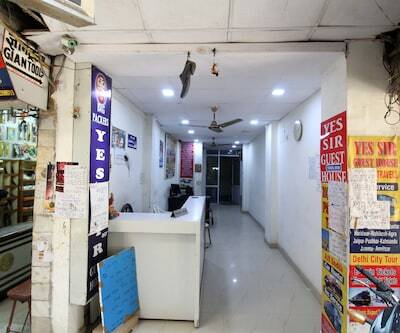 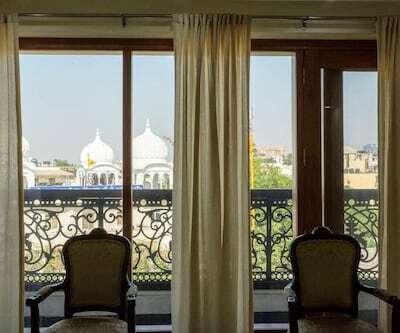 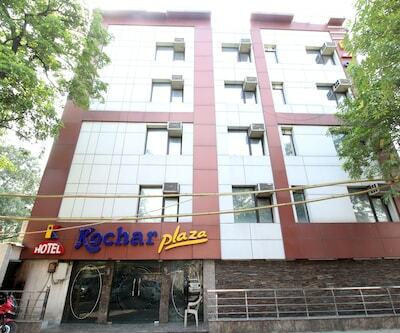 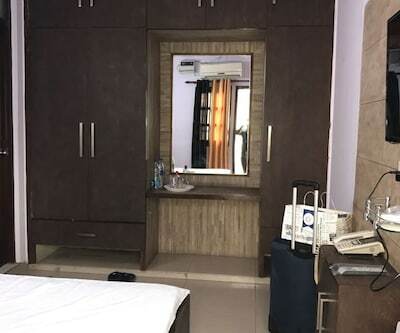 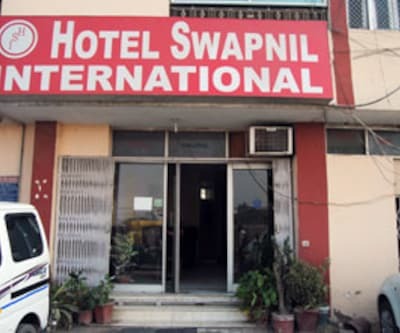 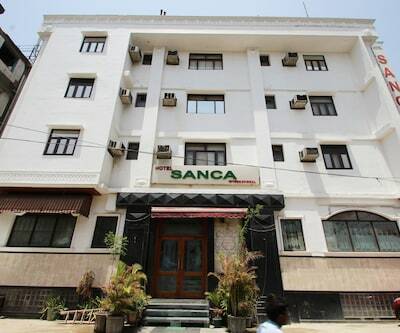 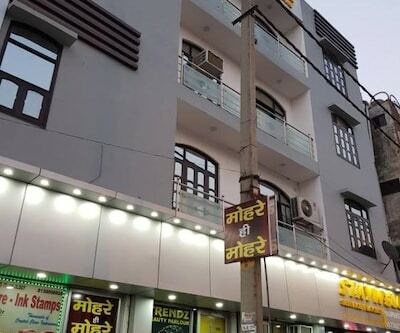 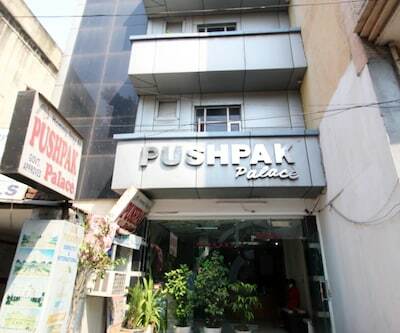 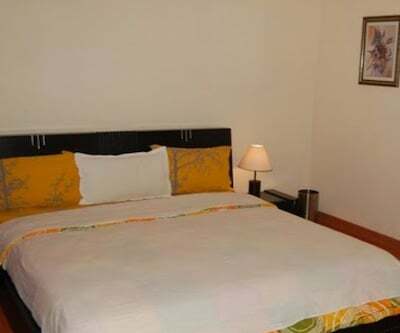 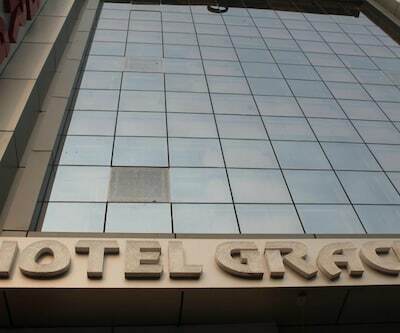 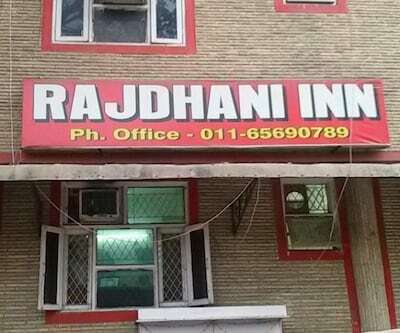 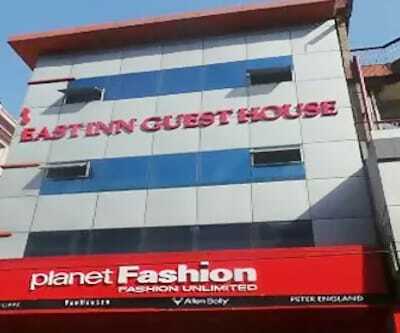 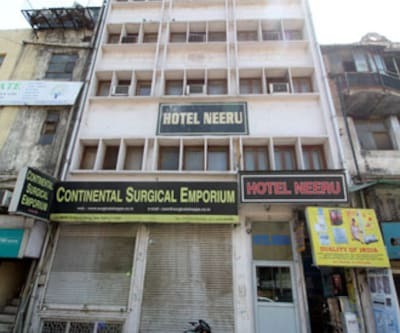 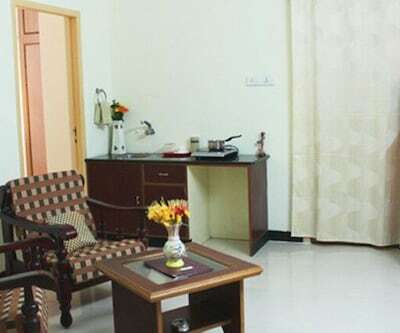 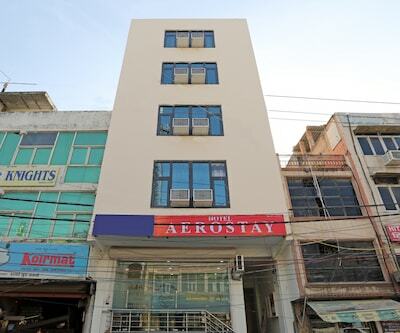 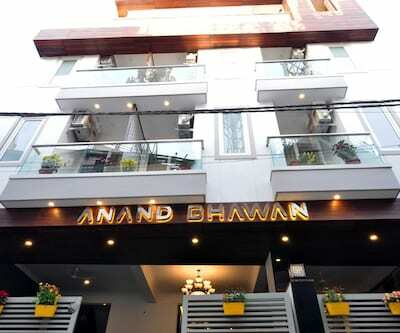 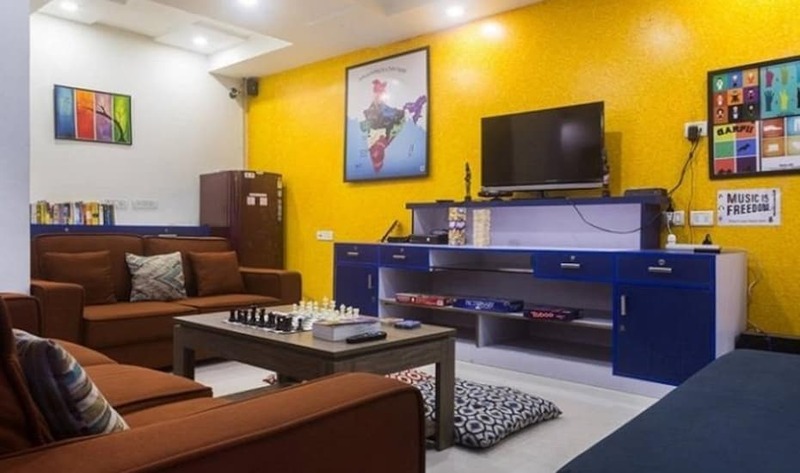 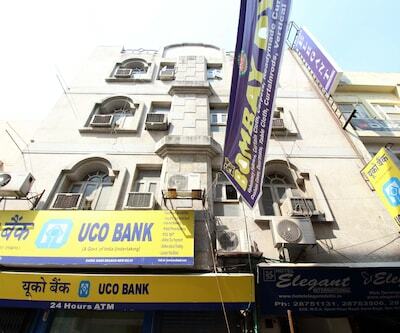 Offering 24X7 front desk and room service, laundry services, luggage storage, newspapers and travel counter, this hotel offers the perfect deal for business travellers.